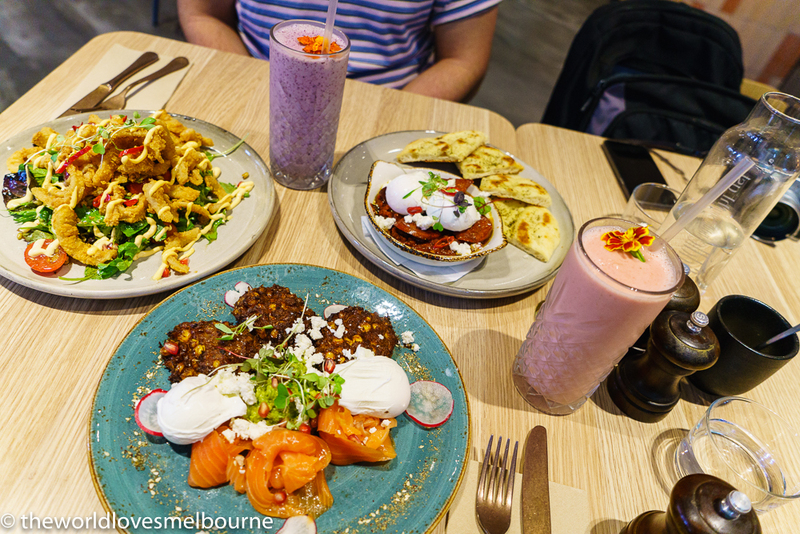 Written by Melbourne Food Blog on 15 August 2017 . 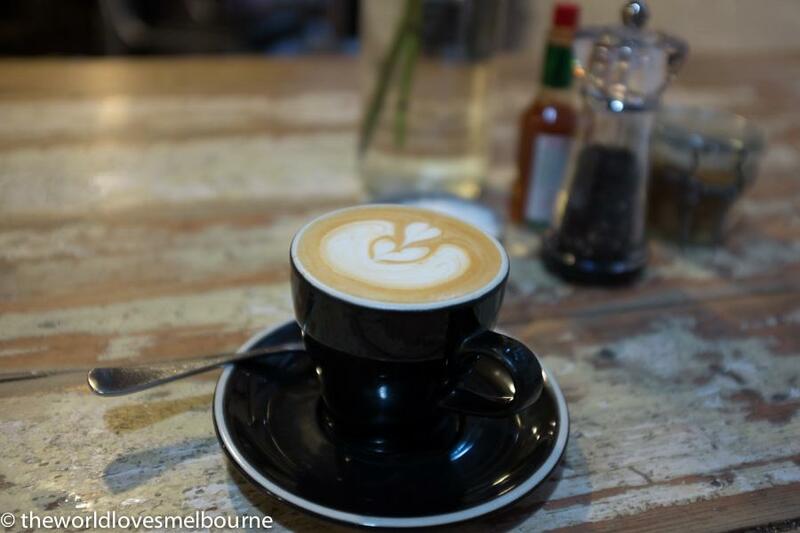 Best cafes in Melbourne is a mix of new and emerging cafes together with icons that are well established cafes. 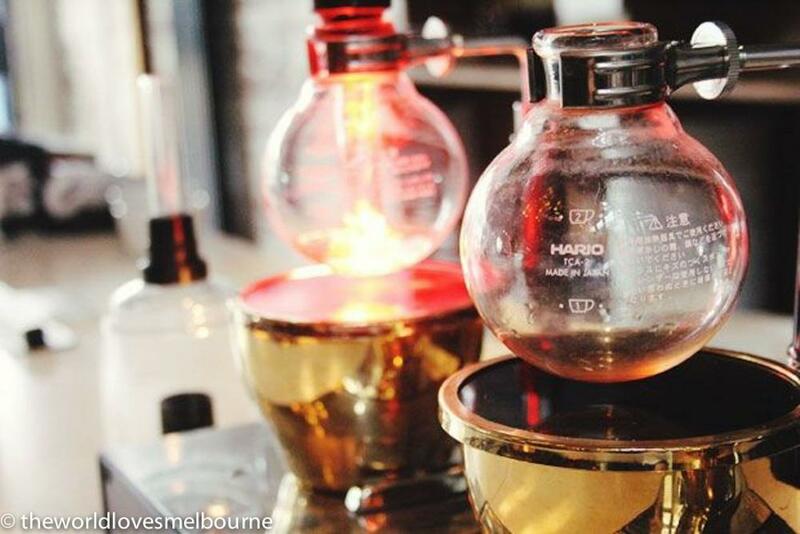 We celebrate Melbourne's best cafes in the search for perfection. 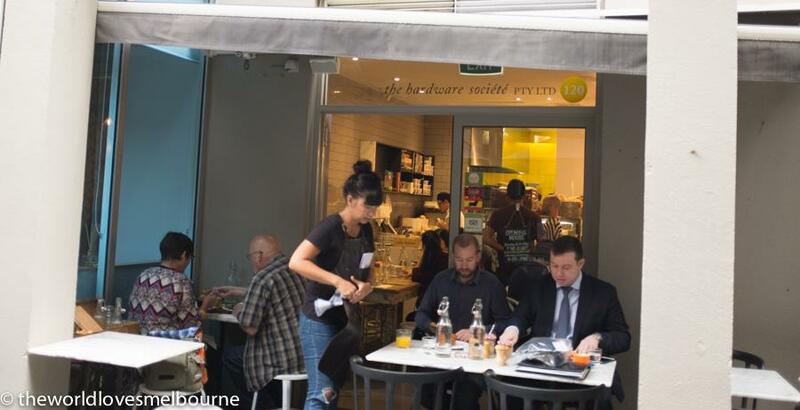 Melbourne is best known for it's thriving cafe scene, often to be found in laneways. Babajan is a cafe sensation with a menu full of attractive rewarding dishes with Middle Eastern flavours a feature. With a powerful claim to fame Babajan became a feature in none less than the New York Times. 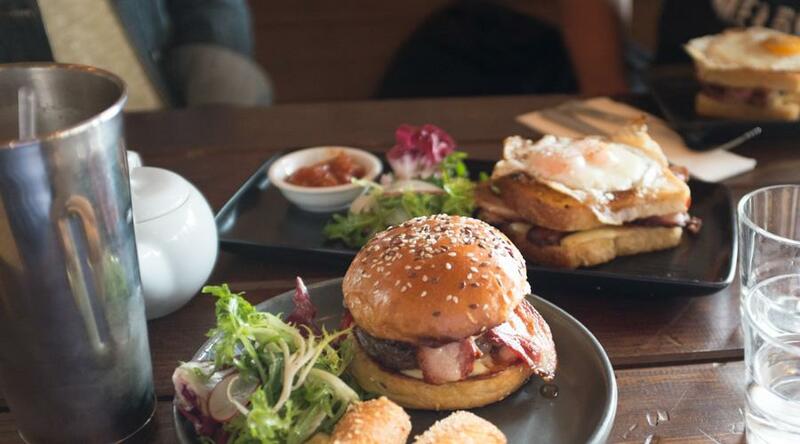 We rank this cafe as up there with the best in Melbourne. 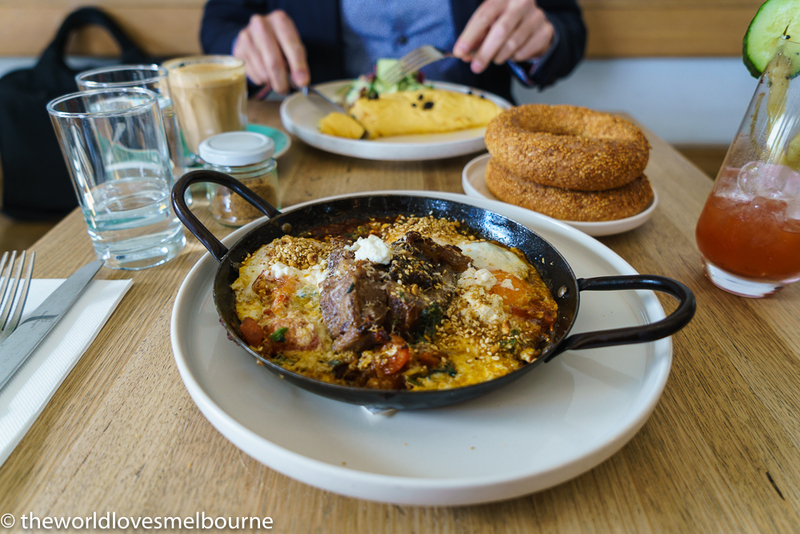 Menemen Turkish Baked Eggs, Spiced Tomato, Spinach, Pistachio Dukkah with lamb shoulder is a chart topper. A hearty brunch dish with standout Middle Eastern flavours and perfect spice. A welcome alternative to smashed avocado. 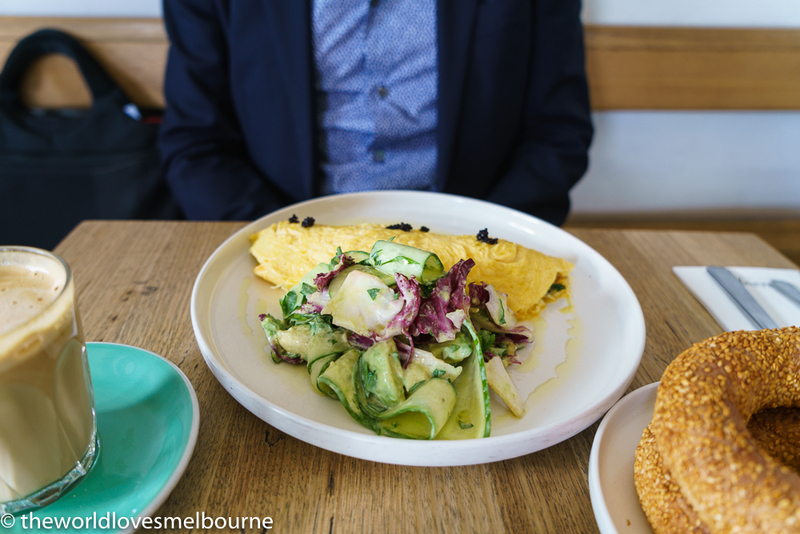 Crab and Halloumi Omelette with Cucumber, Avocado, Radicchio and Kefalograviera dressing was a sensation. Silky generous omelette with the most delicate yet rich crab filling. The baked goods here hit the high notes. Kudos to Kirsty Chiaplias a reluctant rock star chef, who has worked with Gordon Ramsay, Jarrod Hudson and Andrew Blake. 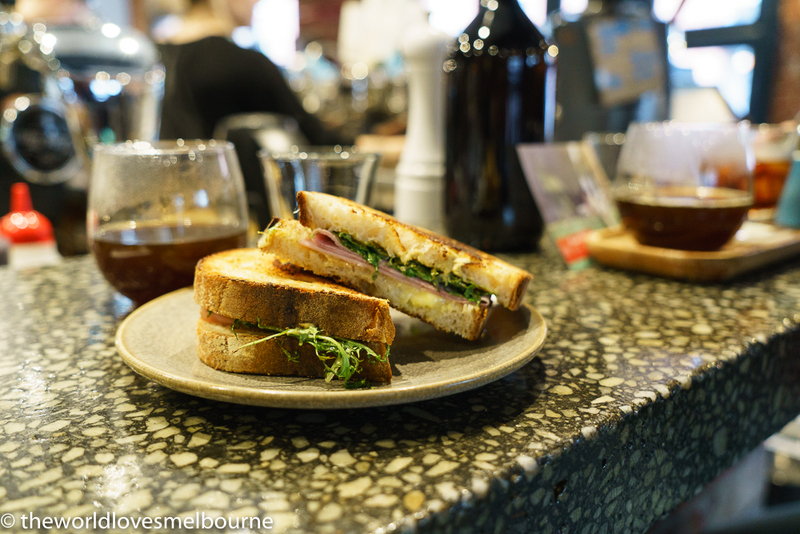 Shanklin is a great example of a modern Melbourne cafe and delivers in terms of vibe, quality food and excellent coffee. Walk into a converted 19th century terrace property with a charming frontage featuring large tables for groups. Inside discover a industrial look, with awesome vibe and classy fit out. A highlight at Shanklin Cafe is the Sweet Corn Fritters - excellent crunch on the outside and a delicious hearty dish that looks pretty as a picture. Add salmon or bacon as an option (I can recommend the salmon). Baked Egg Shakshuka with red peppers, cherry tomato, mushrooms and goats cheese with sourdough is a Middle Eastern style hit. With added side of salmon. 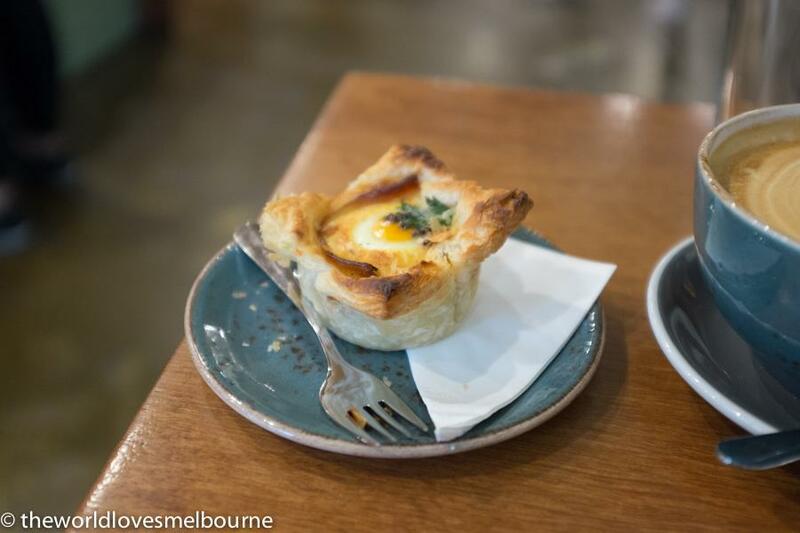 Rustica is a great example of a modern Melbourne cafe. 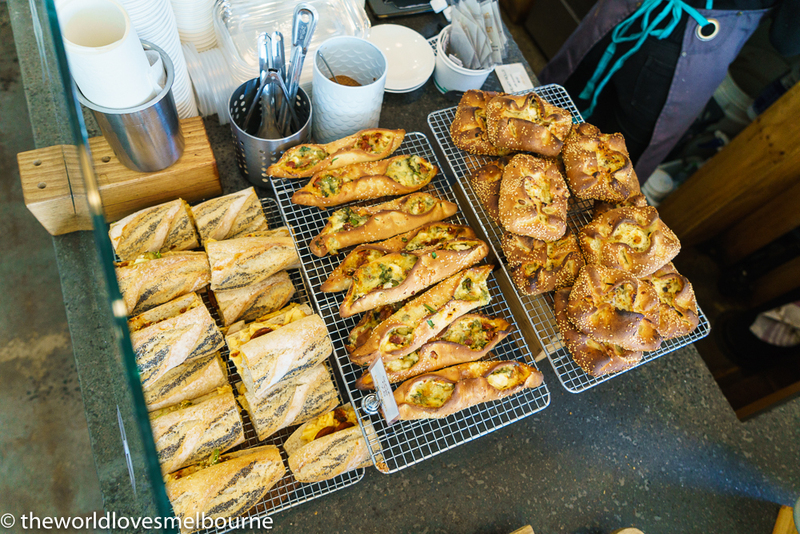 Rustica Sourdough which began in Brunswick several years ago has been expanding, as one of the most successful bakery cafes in Melbourne. This is a light and airy cafe with a touch of style. Love the colour scheme and use of textures with plants abounding. 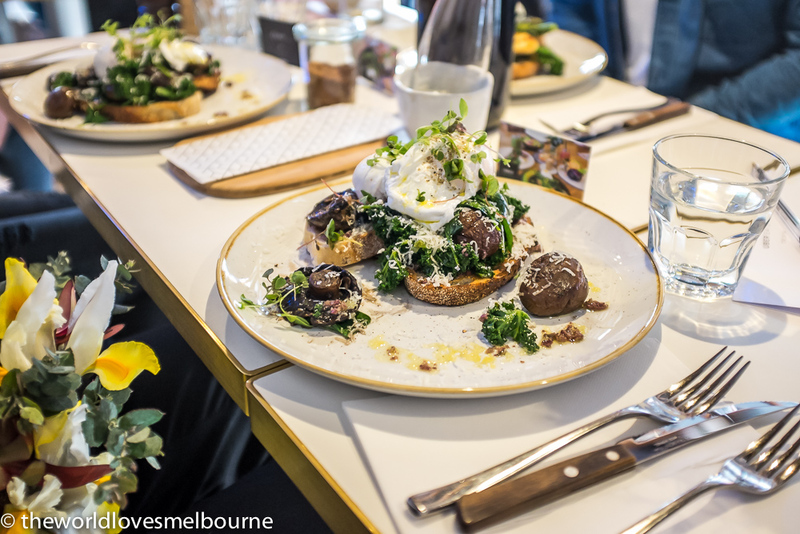 Whole roasted mushrooms, mixed greens, reggiano cheese, poached eggs, white truffle oil, and kale and walnut pesto with olive and basil sourdough is all you want in a brunch dish. 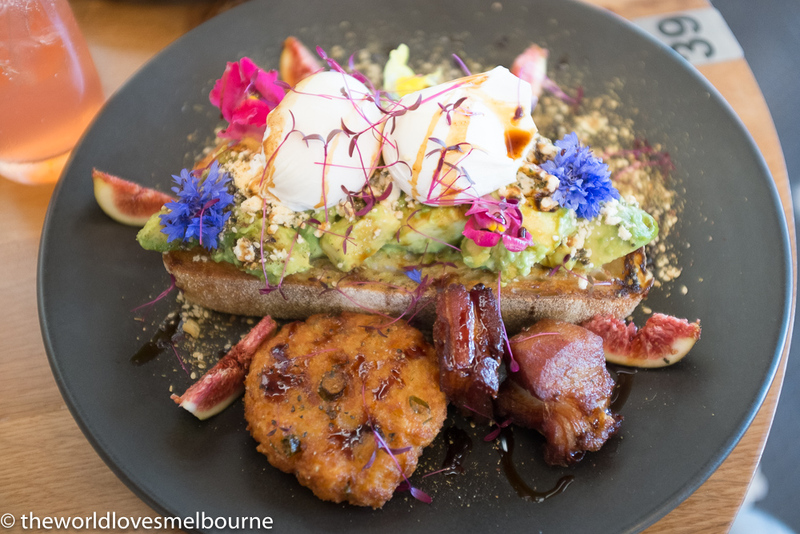 The eastern suburbs of Melbourne are rejoicing since the advent of Down the Rabbit Hole cafe. I find this cafe a breath of fresh air, not the cafe cliche you sometimes see. 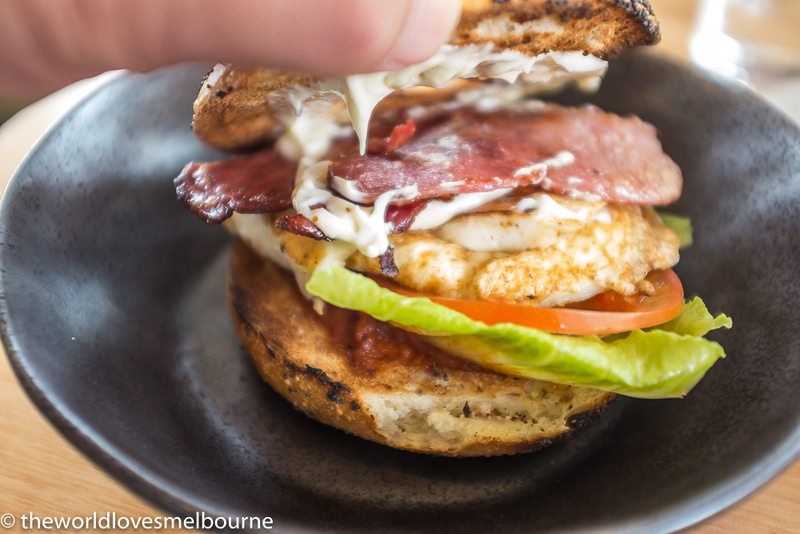 The name suggests a touch of Alice and Wonderland and this cafe is sure to fire the imagination with hits such as the Breakfast Bagel, a surprisingly filling dish with Istra bacon, fried egg, aioli, tomato, leaf and haloumi on a New York Bagel. New York comes to Templestowe. My friend raved about the Shrooms dish, a collection of sauteed wild mushrooms in season and other delights. Coffee here is excellent and staff engaging. 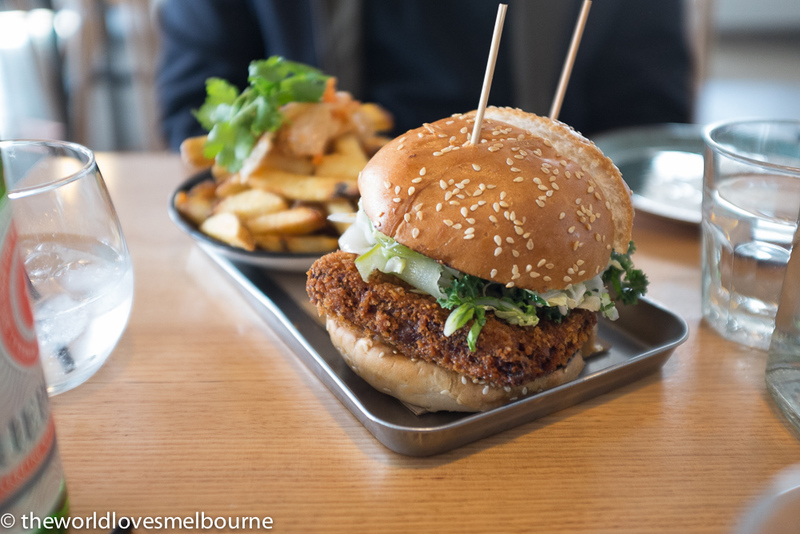 Check out the TFC, Templestowe fried Chicken. 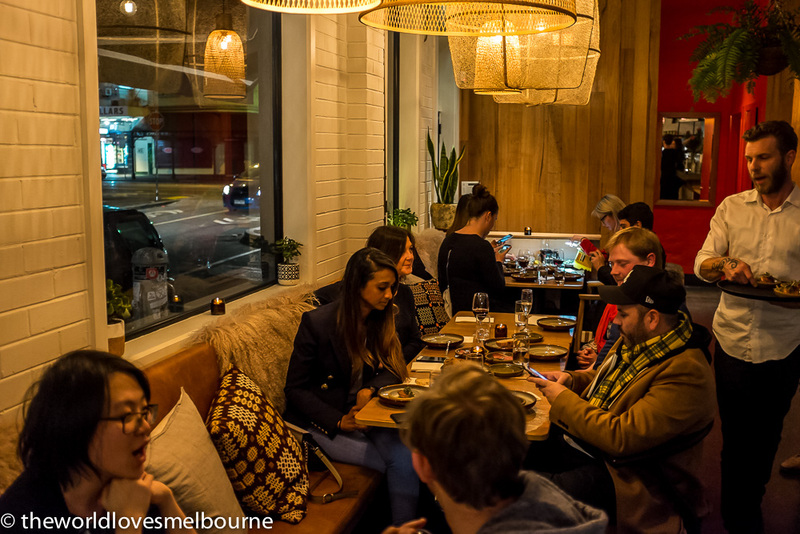 RIDDIK is a revelation in the eastern suburbs bursting with flair and style. 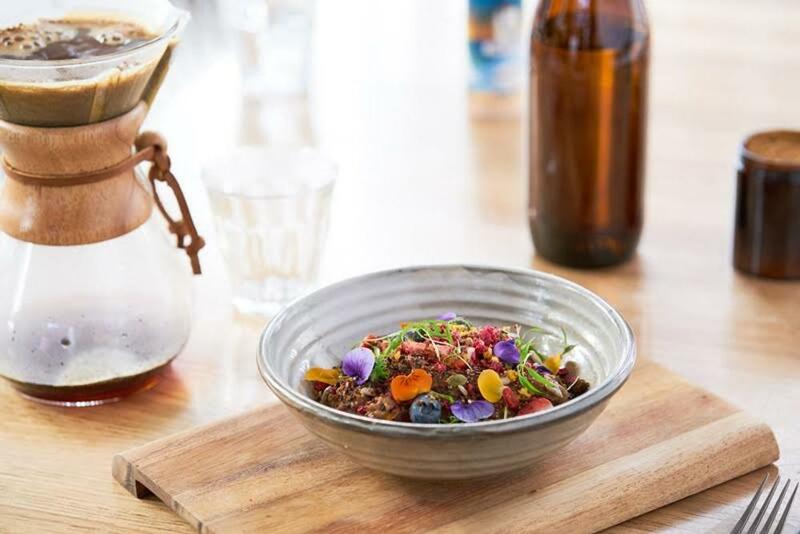 RIDDIK is an all-day café (licensed from morning to night) and game changer bringing inner city excellence to Lower Templestowe. RIDDIK is serving up Code Black espresso brews all day and Code Black espresso martinis all night. The menu provides a top notch foodie experience; offering up breakfast, brunch, lunch, and dinner options, including six ways to indulge in the classic eggs Benny! Riddik smashed Avo is a top notch dish with poached eggs, house made sumac and thyme shanklish hazelnut dukkah, figs, mint and finished with pomegranate molasses on sourdough - then I added extras such as rosti and thick bacon to make it the complete dish! Healthy bowls abound - in fact there's pretty much something excellent for everyone. Strawberry cheesecake stuffed (V) French toast sandwich, fresh berries, choc banana syrup, toasted coconut, and vanilla bean ice cream (below) is decadent, artistic and freakin delicious! Come here at a weekday lunchtime and the place is packed. The menu shows imagination and is brilliantly executed. 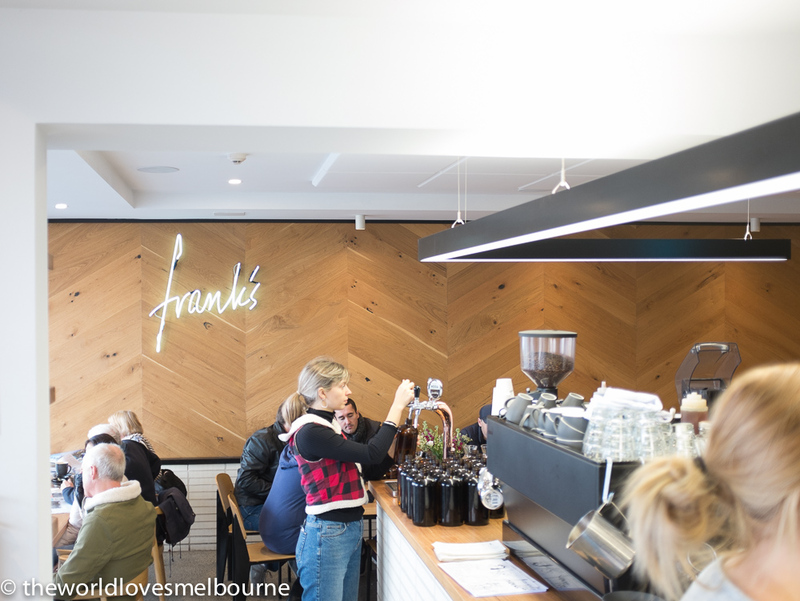 Franks is a highly impressive cafe in Melbourne, reinforcing the belief that cafes in the burbs have come a long way in recent years. 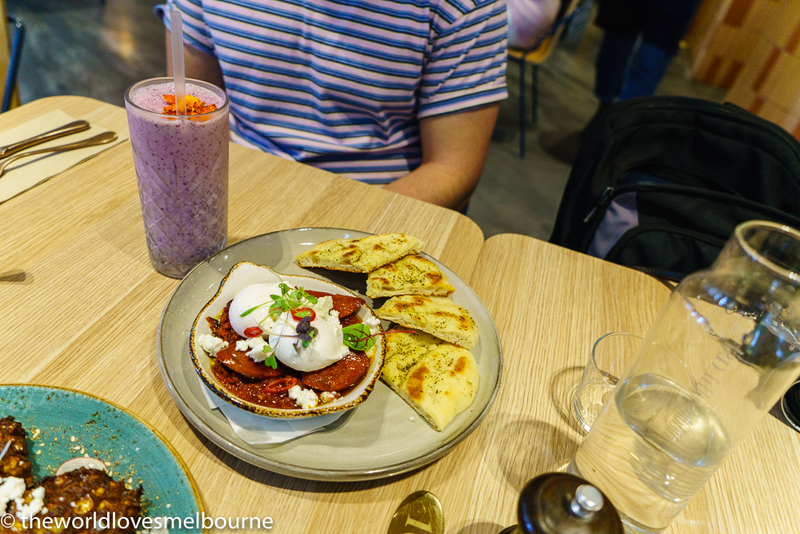 This is one for the punters with a distinct lack of pretension and a menu that ticks all the boxes in terms of modern cafe food. Signature dishes still include the beyond-your-average cinnamon donuts, a rewarding burger and tangy and crunchy ramen fried chicken bao. New menu items include a selection of build-your-own style dishes, letting you take control over the most important meal of the day. A better than expected fit out showing excellent style and design quality greets the diner. Great use of timber, art and lighting is impressive, including the neon Franks sign on the wall. The kitchen is a hive of activity with a larger than normal number of staff for a cafe. In a city of burgers the dish simply named "Burger" belies the impressiveness of this juicy Burger delight of grass fed Wagyu, American cheddar (actually the cheese from In n Out burgers - not sure how they do it), tomato, lettuce, BBQ sauce, Big Mac Sauce (chef's take on it), milk bun, pickle. What you want in a modern cafe. The highly impressive design is by Ewart Leaf Design, with a mix of functional attractive dining spaces. 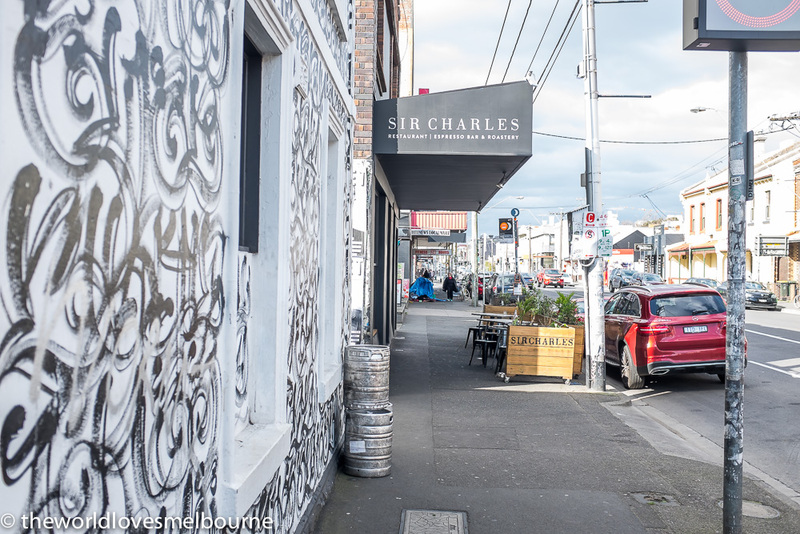 Sir Charles is a surprising cafe as its facade on Johnston St belies the depth of the modern cafe inside. 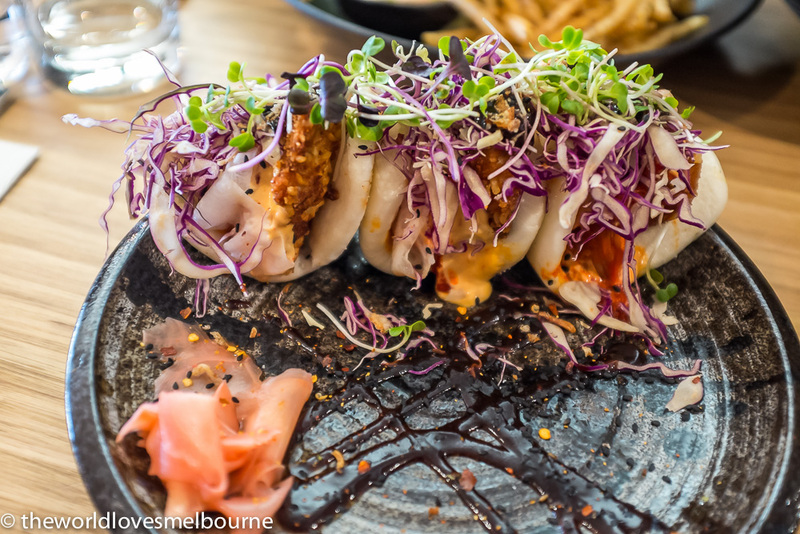 Check out the seriously good menu with an Asian influence. This Korean Fried Chicken Burger with a side of kimchi fries was a highlight, the food beautifully presented. Or grab a Super South healthy dish or the Sir Charles Benedict with panko crumbed eggs, or indeed the Eton Mess Waffles. 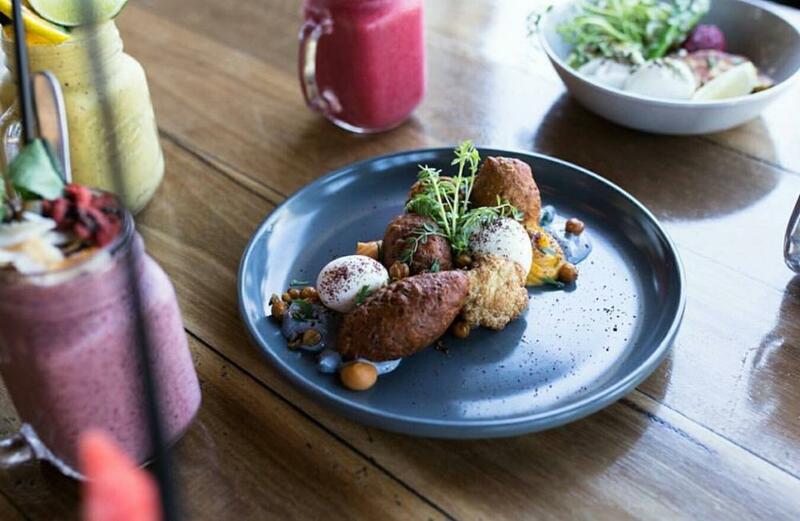 Middle South East is part of the new breed of Melbourne cafes bringing Middle Eastern flavours. 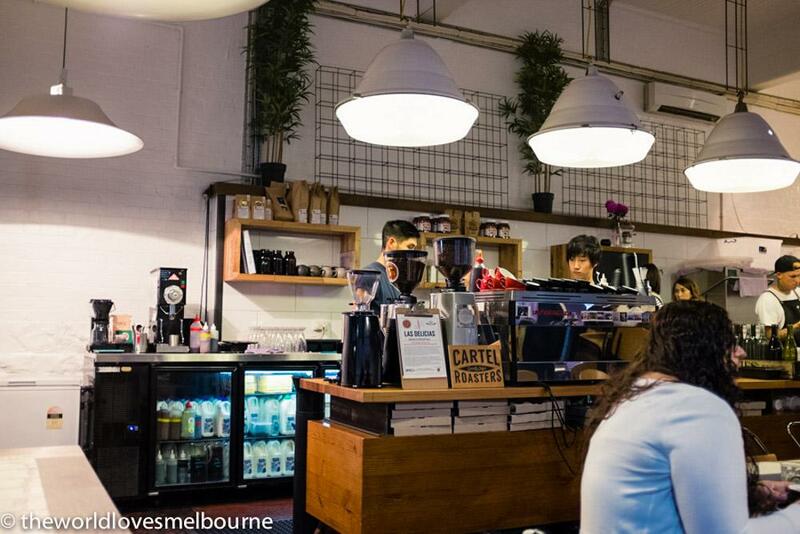 A popular cafe with creatives on Chapel St with a wide ranging menu that delivers. 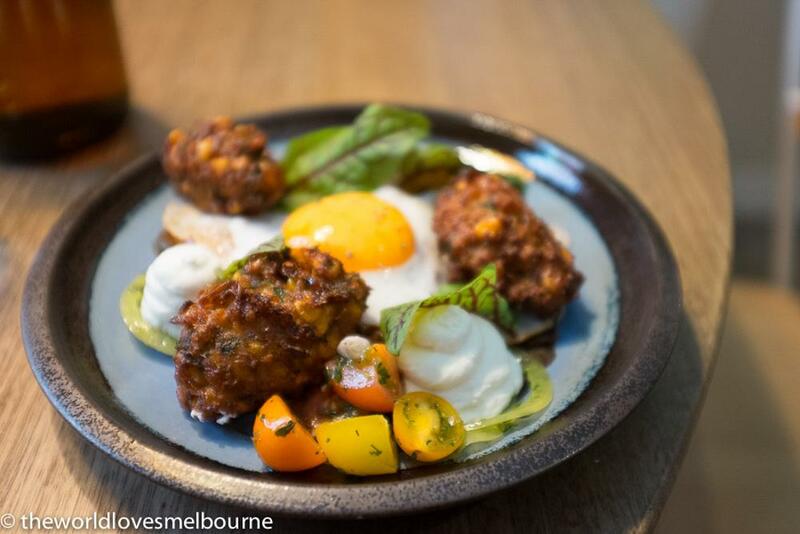 Nomada is a distinctive cafe in Melbourne like no other with its compelling menu with amazing Spanish tapas options for breakfast, lunch and dinner. 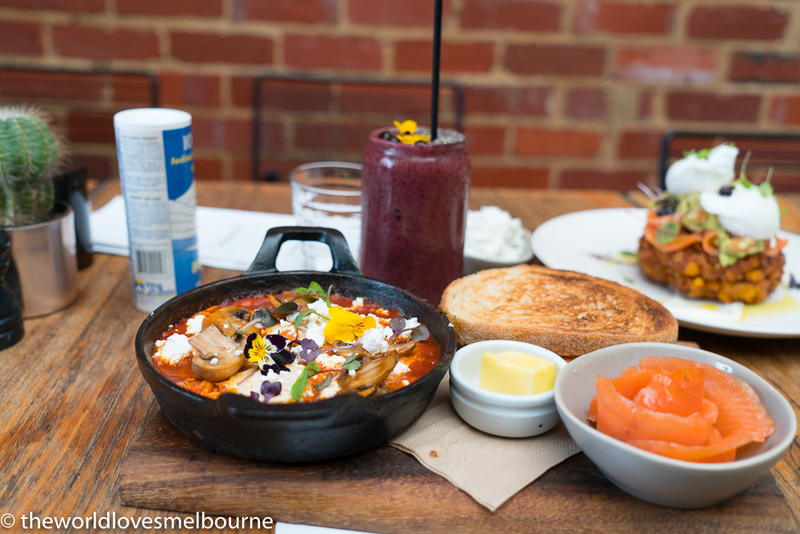 If you get bored with similar brunch menus in Melbourne then visit Nomada! The food is compelling using quality produce and the vibe is intimate. 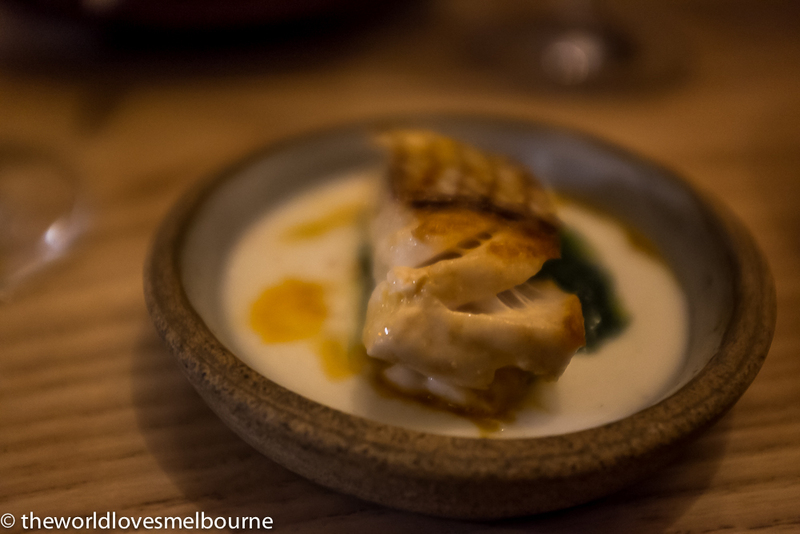 A highlight was this Snapper with buttermilk; it grabbed my attention from the first bite. 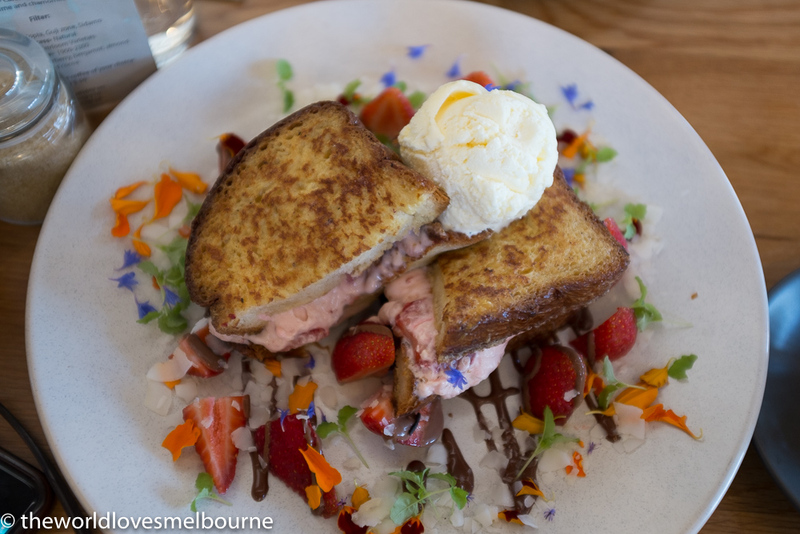 AU 79 is a cafe sensation in Abbotsford. This may be one of the most impressive cafes you ever visit. Having worked in corporate banking in the mining section I know that Au and 79 stand for the atomic number of gold. And it's a gold class experience you will receive, as well as a golden sign emblazed on the brick building. The interior is super impressive with large light filled spaces and a attractive plants. Curves and straight lines. the vibe is exotic. With their own roastery coffee is a serious thing here. 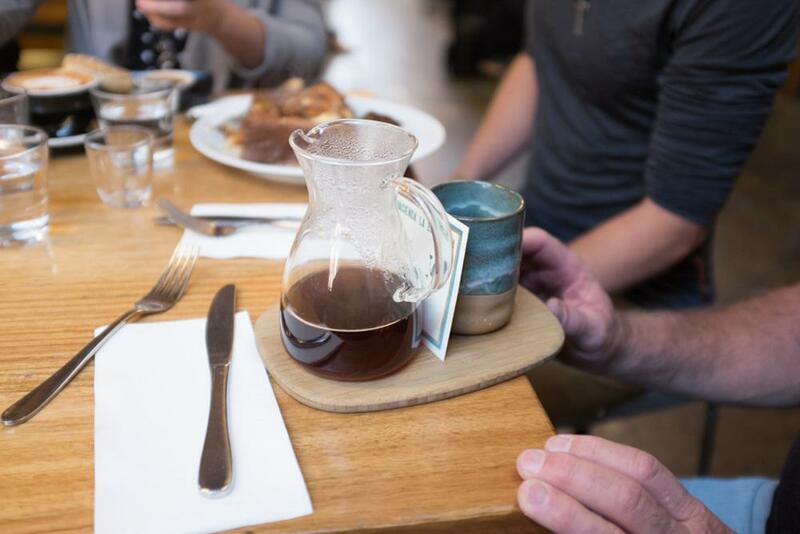 With house blends and single origins we settled on a V60, a great choice. 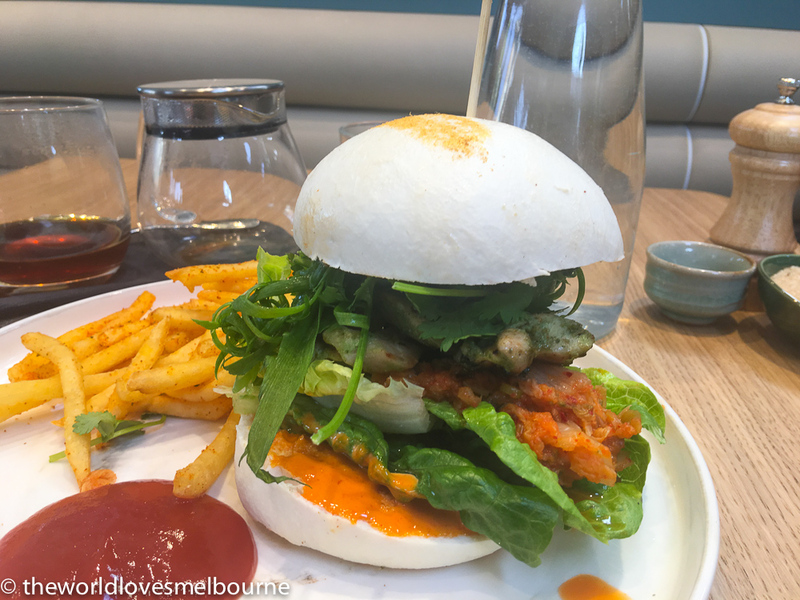 Modern menu includes Smashed avocado, Okonomiyaki Japanese pancake, Roasted Cauliflower Smash and Smoked Bonito Croquettes, not to mention the advent of Bao Burgers. Stevie Wonder had the soul/funk going with his 70s hit Higher Ground, and Higher Ground cafe in the Melbourne CBD also has plenty of soul. 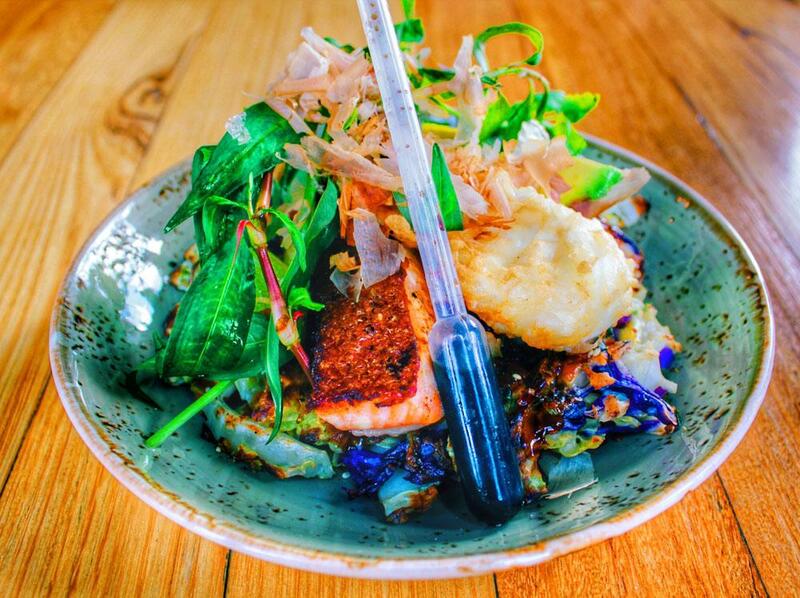 Like Stevie, Higher Ground Cafe has hit their groove with a winning combination of attractive food with finesse, excellent service and a large warehouse converted structure that is breathtaking. 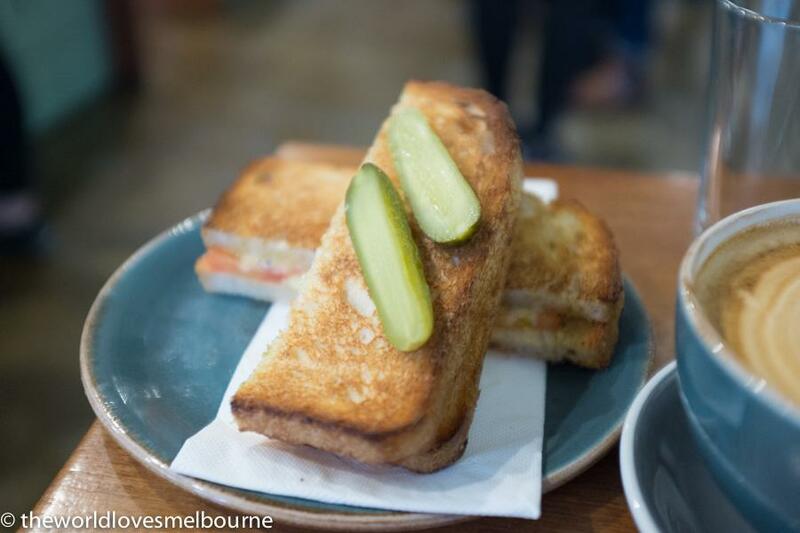 Yes this cafe, recently awarded best in Melbourne by Good Food is next level. And it's a must visit in Melbourne. 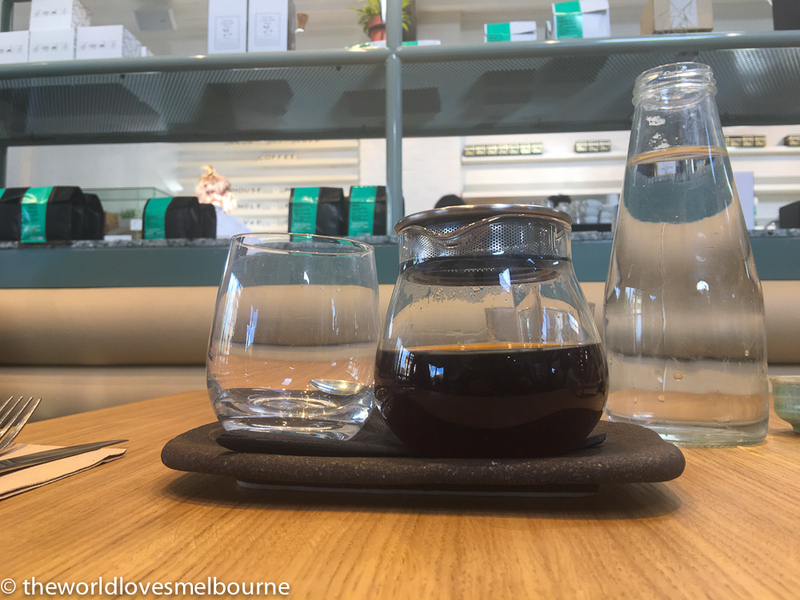 One gets the feeling this is the ultimate in the Melbourne cafe evolution to date. The name is apt as the cafe ticks all the boxes in terms of food, coffee, service and ambience. The space is massive yet you feel a sense of warmth and engagement. High ceilings, plants, amazing decor, large bar; Higher Ground has it all. Natural light abounds during the day; it's almost like a large cathedral. And the mood changes at night. Higher Ground doesn't just serve up the usual suspects. The menu is interesting and flavoursome; including Steamed market fish with Japanese broth, Charred brussel sprouts, Charcuterie, and Seasonal soft polenta. 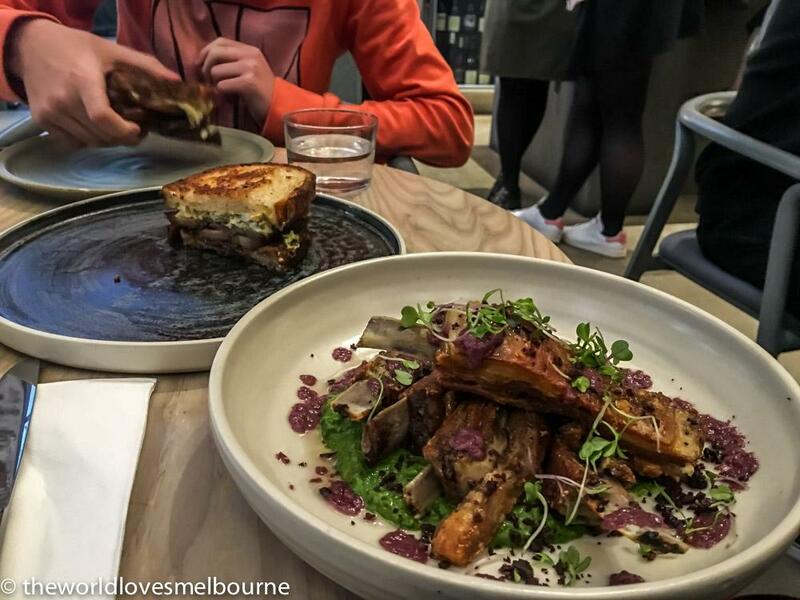 Casual dishes such as the Overnight Lamb Ribs and the Berkshire Bacon Sandwich are a delight; modern relaxed dining. The ribs are melt in the mouth and the bacon is thick cut. Service here is first class and the venue is designed to be an all day affair. The fact we had to wait 20 min to get in during a middle of the day in the middle of the week timeslot is a testament to this cafe. Nathan Toleman and his team have done it again. Arguably one of the best in Melbourne. 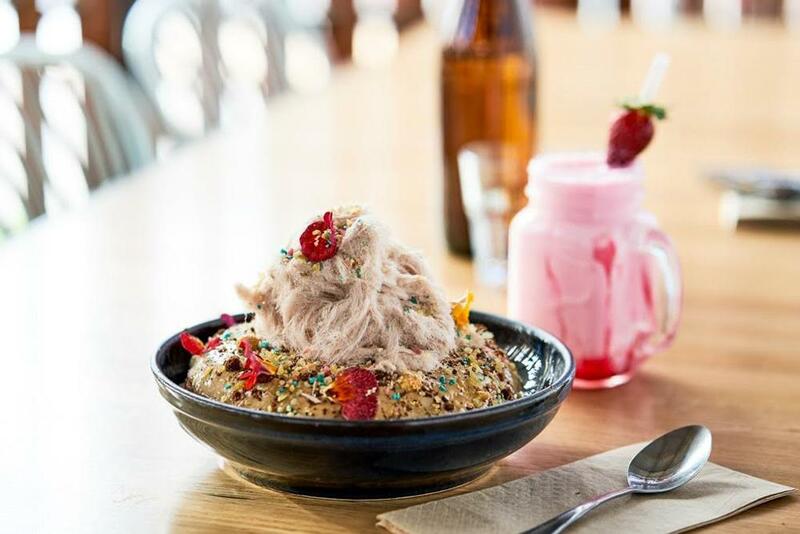 For those who may be bored with the same old same old food options of many Melbourne cafes, Mammoth brings a point of difference. When we scan cafe menus it's often a case of wanting 2 or 3 picks out of the menu then deciding. Call us snobs but that's the way it is. In this case it was about what not to order. Interesting and compelling menu options. 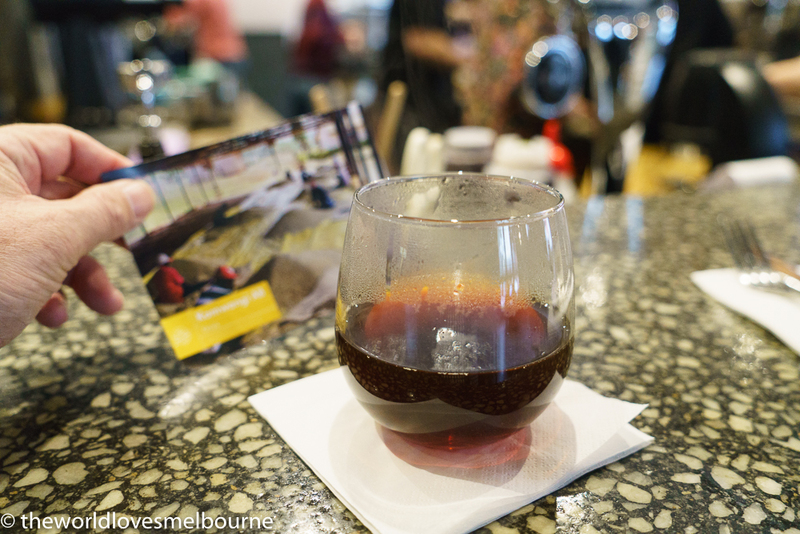 The Kettle Black has become an archetype of the modern Melbourne cafe. Stylish and chic fit out, and the food a treat to the eyes as well as the mouth. 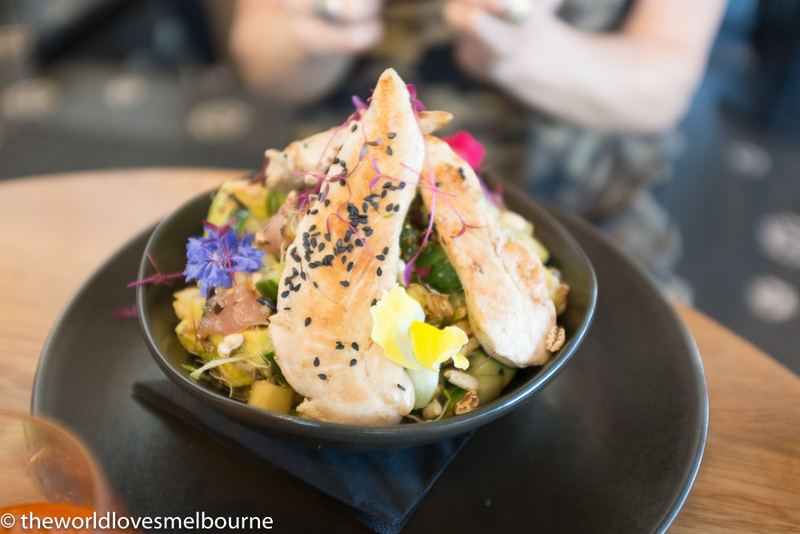 Food here at The Kettle Black is as good as anywhere; from the healthy Coconut set dish to the Tataki Ocean trout dish, to the Chilli Scrambled eggs dish and the Fresh Kingfish with potato crisps. Serious cafe cuisine. 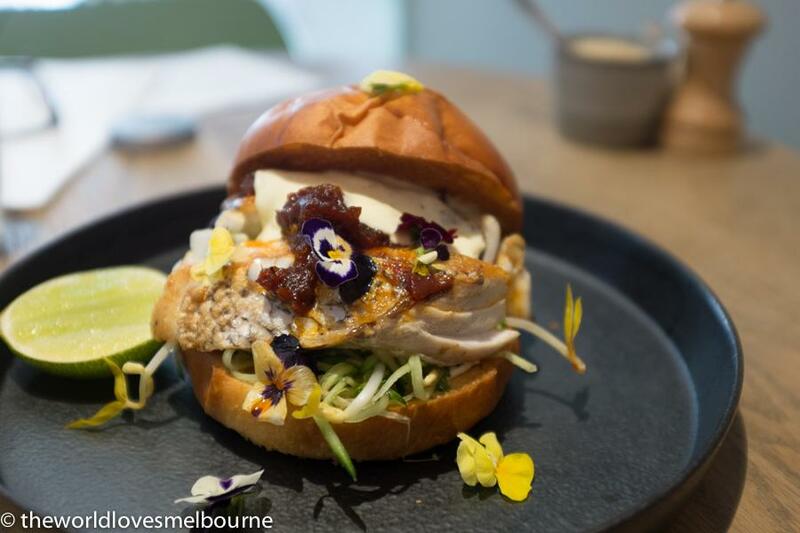 Notably the Crayfish Roll has been replaced by the Port Phillip Snapper in a brioche roll with green papaya salad, lime and chilli jam. Generous fillets of Snapper (2) cooked perfectly with caramelisation of the skin, and the combination of the chilli jam and zesty green papaya salad is stunning. The soft brioche bun is perfect, albeit slightly rich, providing hint of sweetness and lovely texture around the fish and salad. One must squeeze the lime over the fish for extra zest. Presentation is sensational; art on a plate. After eating this dish there was a feeling of being pleasantly satiated and sufficiently full. We think it's all part of a trend of seeing restaurant quality food in cafes; something you don't always see around the world. 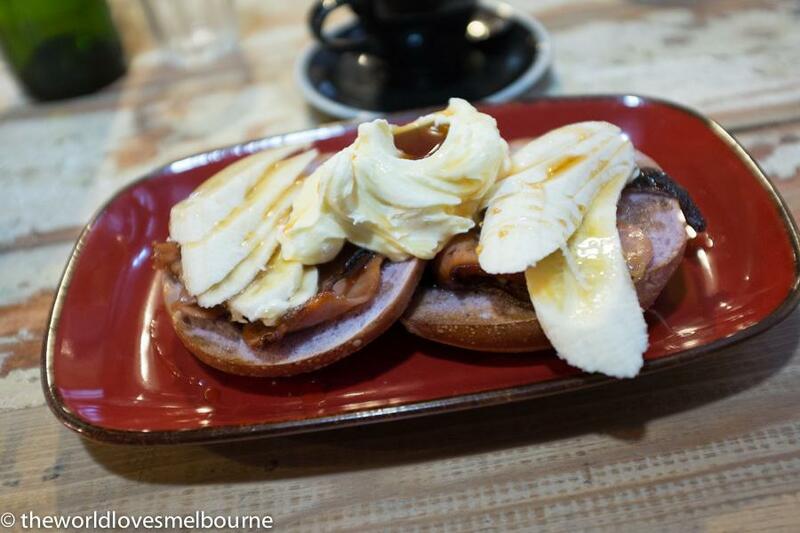 The Kettle Black raises the bar on Melbourne cafes and is world class. If you were looking to meet with someone and impress them you might come here. 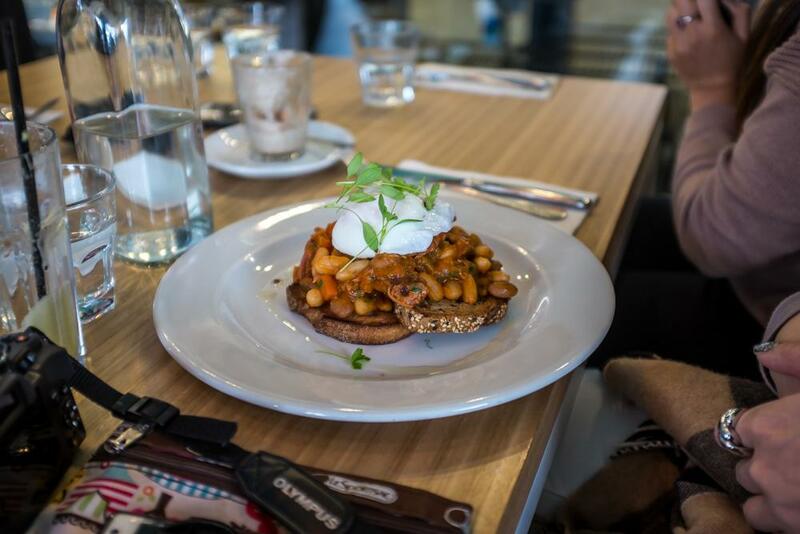 Top Paddock is one of Melbourne's standout cafes with its spacious modern fit out and extensive imaginative menu. Meeting here in a trendy part of Richmond with my salubrious brother (Melbourne businessman and food critic extraordinaire) we commented that "these people know what they're doing". 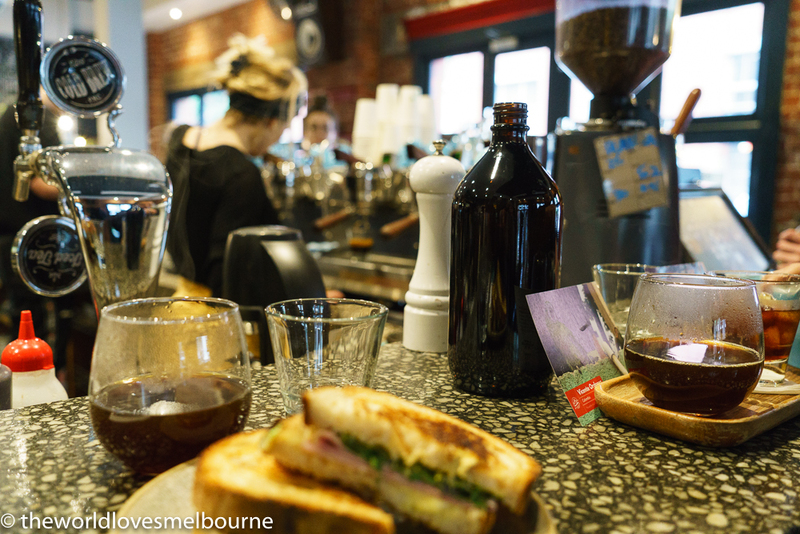 And they surely do being of the stable of Three Bags Full, APTE and Two Birds One Stone - some of the best cafes in Melbourne. Chatting with one of the owners Nathan Toleman at the restaurant, the team have pulled their experience from the other cafes and have even progressed the cafe concept. 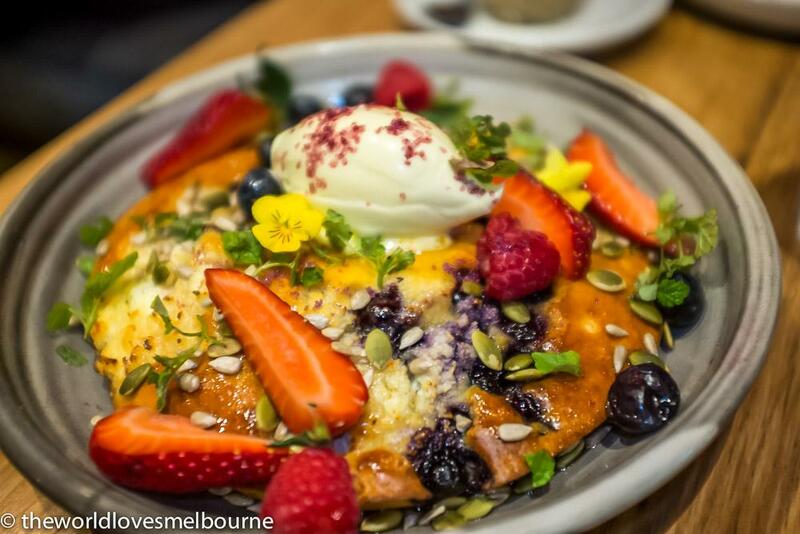 The Blueberry & ricotta hotcake with berries, organic maple, seeds and double cream is a stunning brunch dish that belongs in the arts centre as a colourful masterpiece. It is the Rembrandt and Monet of brunch dishes. Several years on and Top Paddock is as strong as ever; with strong numbers during the week and a weekend overflow and line up. Kudos! 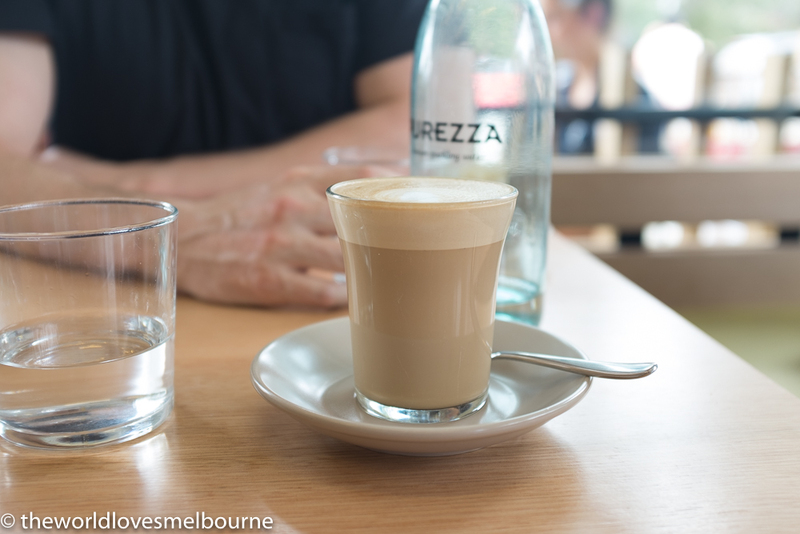 Darling Street Espresso is a top notch relaxed cafe in Moonee Ponds with a certain sophistication in its offerings. The owner is from a fine dining background and so this is cafe food taken to the next level. A modern fit out and large courtyard inspires. Food is fresh and seasonal and the menu has imagination. Bring on the tube and the Miso cured salmon, okonomiyaki pancake, tempura poached egg, ponzo dressing. This is a dream on a plate. 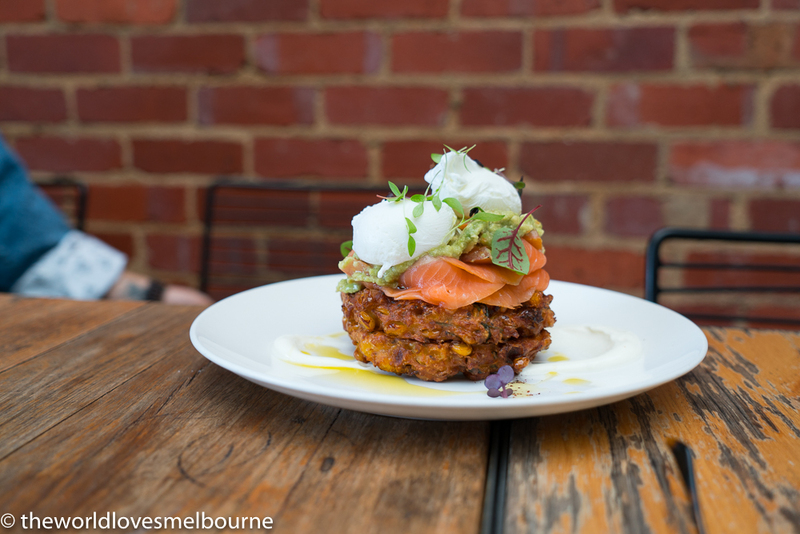 The fritters (image Darling St Espresso Insta) are some of the best in Melbourne. 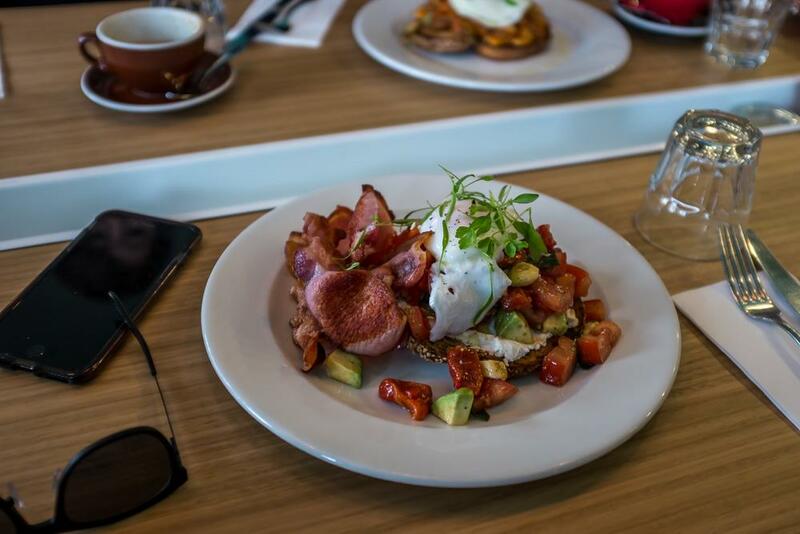 Leroys prides itself on the menu's modern flavours, great coffee (Campos Roasters) and strong beliefs that local produce and seasonality are the stepping stones to great cooking. 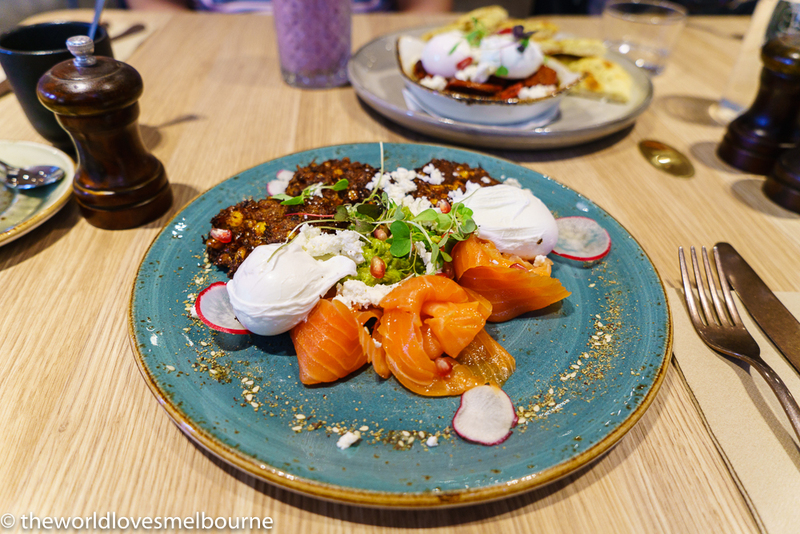 With options for both sweet and savoury palettes, their all-day breakfast menu includes local favourites like their cacao porridge (cacao nibs, berries, smashed freeze dried fruit, blood orange powder, maple syrup, chia super seeds and viola) or their Newport Hollan Daze (hash browns, smashed avocado, bacon, poached eggs, hollandaise, rocket and parmesan). Classic comfort food with modern flavours is the essence of their lunch menu. 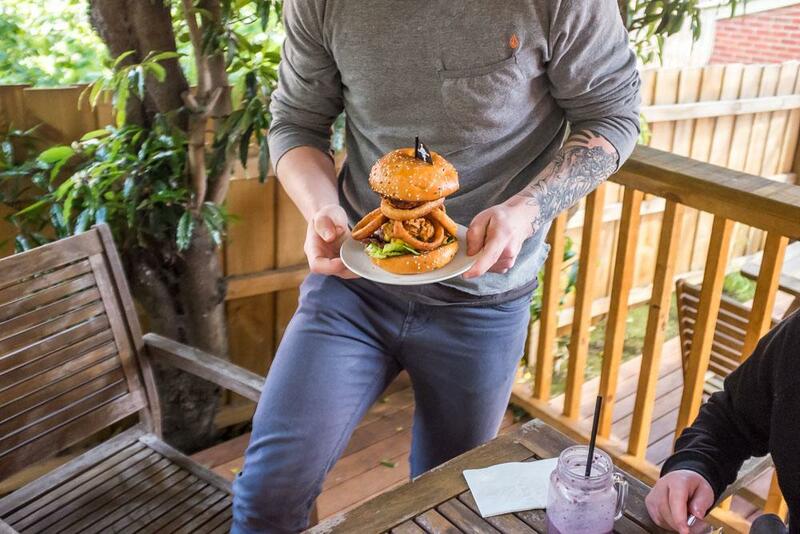 You can't go past their Soft Shell Crab Burger (pictured below) - tempura fried soft shell crab, saffron aioli, tomato and lettuce in a black bun. Magic Mushrooms also excite with Mushroom fricassee of mushrooms, roasted escalopes, Bulgarian feta and 60 degree egg. Yes we are raving but this dish was a highlight in terms of brunch for the year. The menu also offers compelling dishes such as Breakfast Tortilla filled with Scrambled Egg Mixed Mushrooms, Aged Cheddar and Green Harissa, or the House Benedict ‒ Potato Rosti, Grandmother Lamb Ham, Poached Eggs, Mustard and Tarragon Hollandaise. 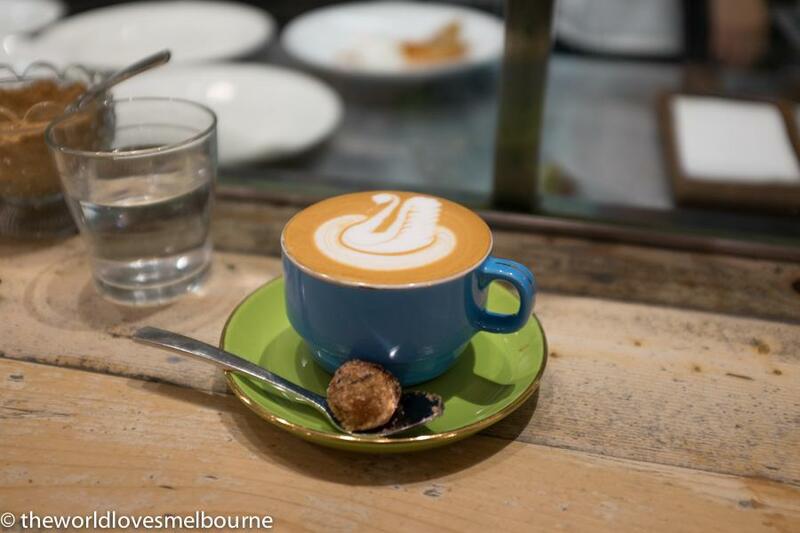 Operator 25 is an exceptional cafe in the Melbourne CBD, with strong points across the board and prices affordable. Fun and finesse. Highly recommended. 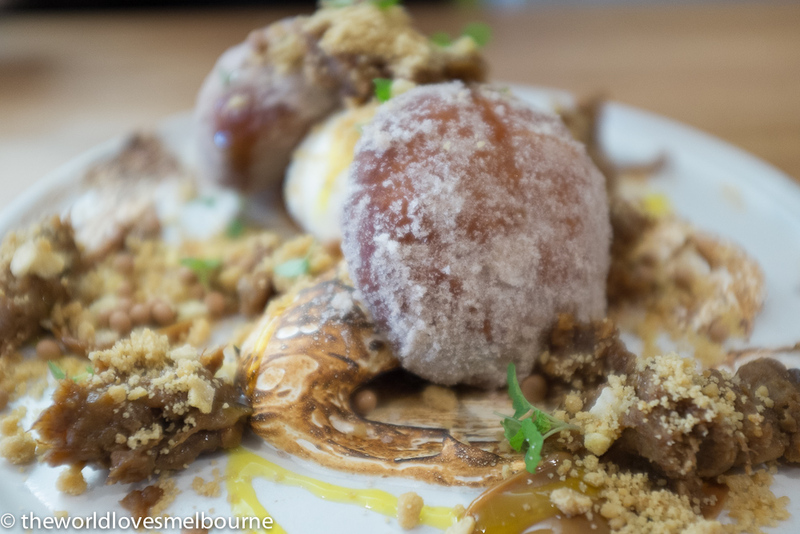 Cumulus exudes passion for a food culture and brings a sense of fun and an air of sophistication to the Melbourne dining scene. This is where the foodies go. And it stays at the leading edge of culinary Melbourne after several years. 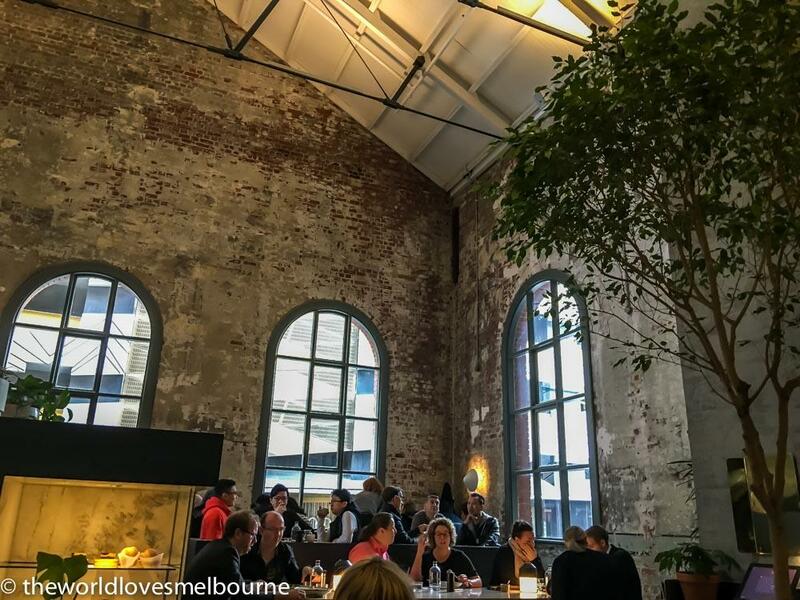 Cumulus has a warehouse/studio type vibe - with studio type lighting, high ceilings, and large windows fronting Flinders Lane. 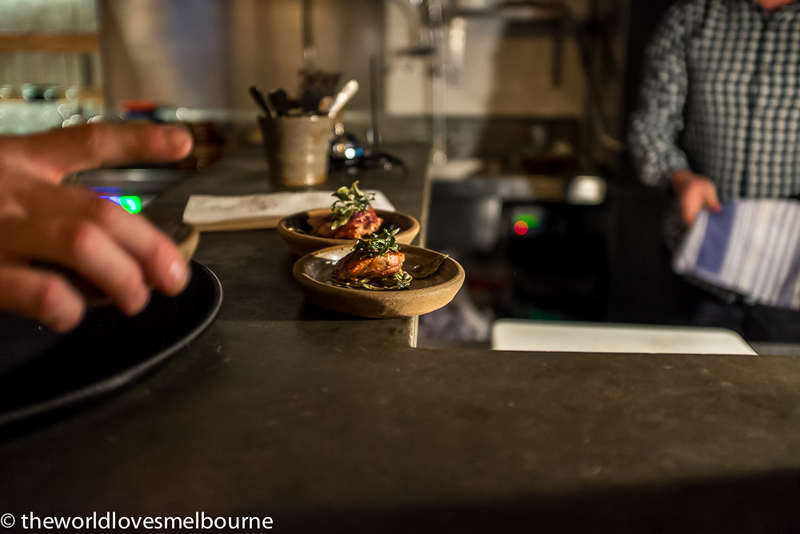 There are 3 positions for viewing – either sit at the kitchen bar on a stool watching the expert chefs art work; or sit at the bar overlooking Flinders Lane on a stool watching the baristas at work; or sit in the middle and observe the hip collective in the room. Staff are professional and engaging. You are warmly greeted for breakfast by friendly staff who show you to a table or stool, decked out with tulips on the tables and 3 different newspapers. Service is consistently great. Tested by moi when ducking in to Cumulus one summer’s day just to have a glass of water and a coffee – staff obliged but I wouldn’t do this often. For lunch and dinner the lamb is to die for - shared for two (but find someone who is not hungry). As good as lamb gets. Often queues out the door due to no booking policy. I can't believe I was there at the crack of dawn and the place was packed and pumping with jazz on a weekday! Enjoying music from the five Bose speakers mounted around the room! Friendly barista explained to me that the bank vault door to the side of the current modern door is a heritage piece – and it adds to the vibe. Cumulus is a continual culinary joy. St Ali is a hip cool fun uber café with amazing ambience, stunning coffee and excellent creative menu choices - hidden down a laneway in South Melbourne. This is one of my “go to” places in Melbourne and have loved each of my many visits. 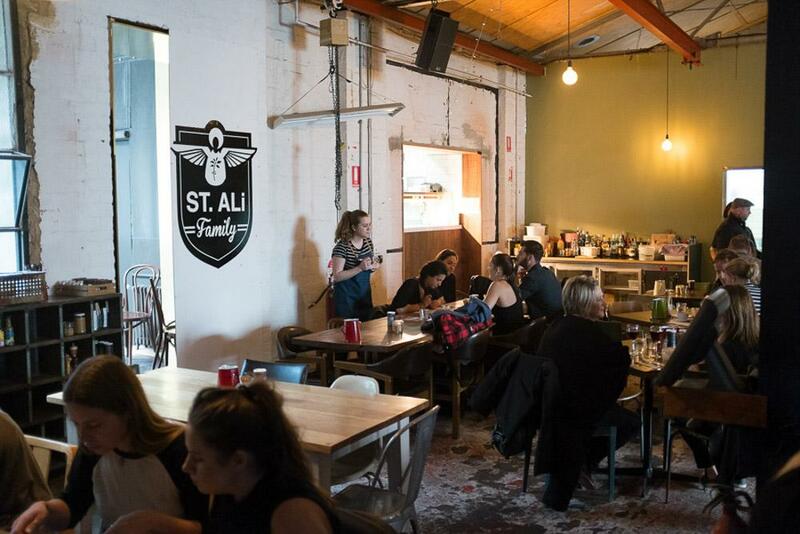 St Ali is named after Ali ibn Umar al-Shadili, a fourteenth century mystic andsomeone who apparently birthed coffee passion. One of the cool mystiques surrounding St Ali is that it can be hard to find. You wander down some nondescript laneway off charming Clarendon Street in the quest for serious coffee. You then wonder if it’s the right laneway. You see a group of people emerge from a non descript entrance. And you realise this must be St Ali (no signage). 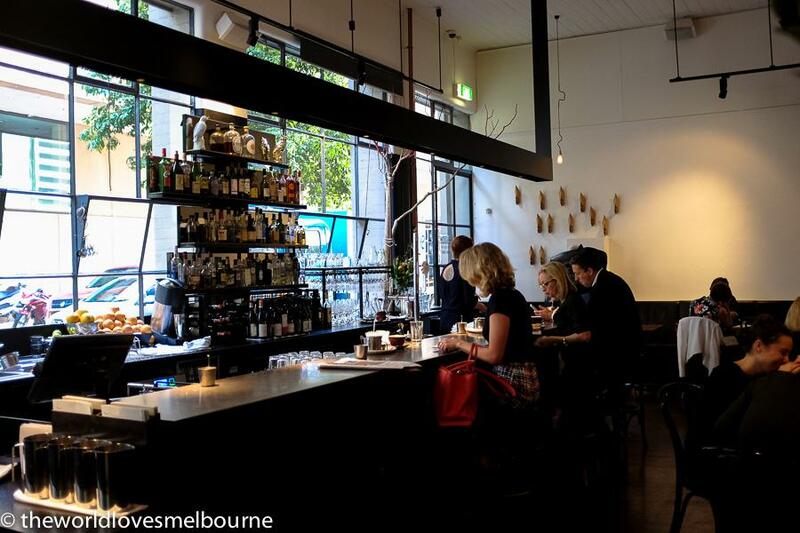 Proud Mary has been crowned Best Cafe in The Age Good Cafe Guide awards on previous occasion. 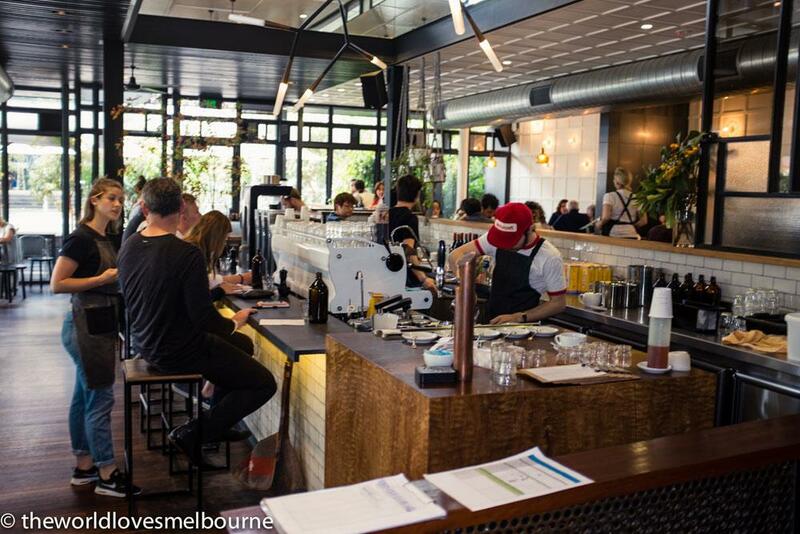 Nestled in a warehouse like premises in Collingwood, Proud Mary with its uber fit out, is the coffee summit. 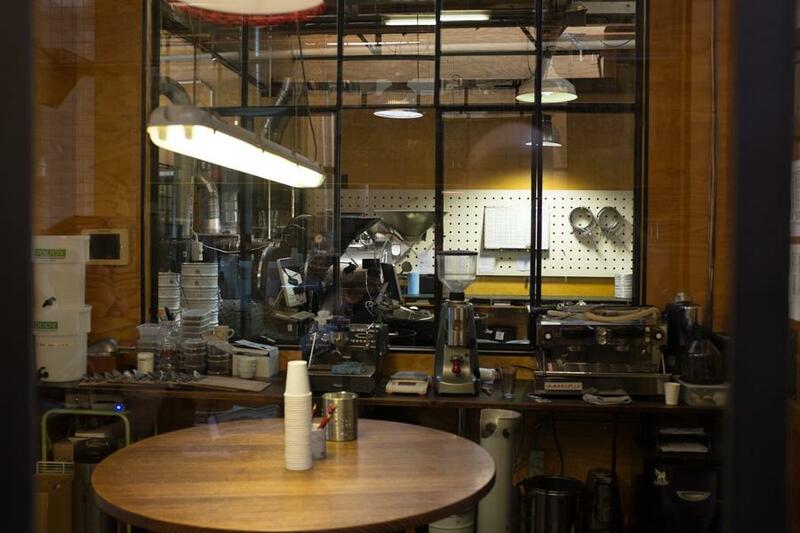 Inspired by owner Nolan Hirte, it exudes rarefied air of coffee excellence. Hirte's stamp of excellence is on every aspect in terms of ambience, passion, coffee sophistication and the notable cuisine. 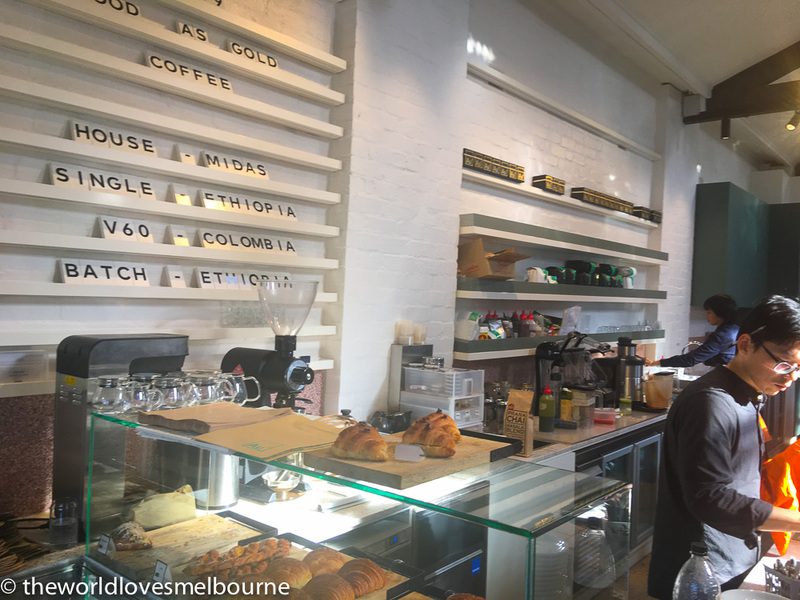 Proud Mary is a benchmark for roasters and coffee lovers in Melbourne and along with its sophistication has the charm of a river boat queen. A great option is to have breakfast here and then go on into the city for work. Love the breakfast menu! Great breakfast with the Crispy Hash a standout for me – large crispy not too greasy hash brown with stringy fibres of potato with crispy bacon, buttery spinach, a poached egg and bagna cauda. Too good! Especially with a great coffee. For time poor professionals Bossy Boots is the perfect destination to get an impressive dinner, desserts and gourmet treats. The display cabinet is spectacular with take home treats on display. 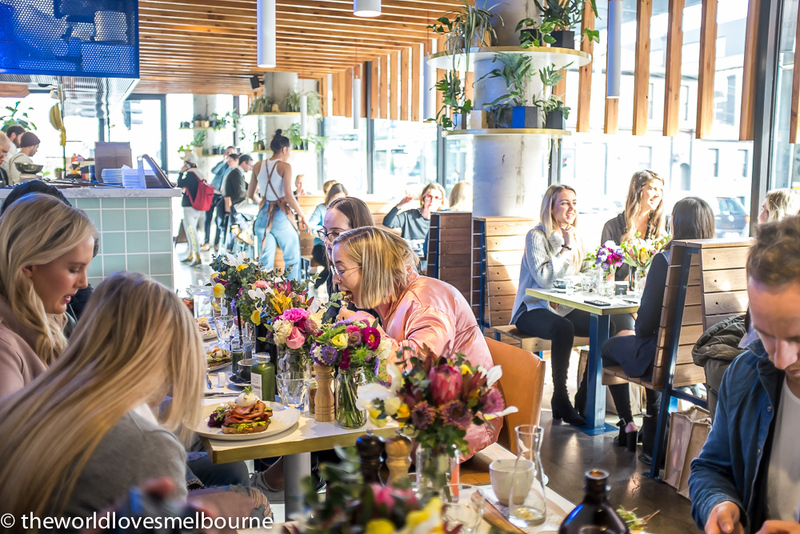 You will find it hard to resist the choices.In recent years Nonna Thomasina (known as Nellie) has graced the kitchen at Bossy Boots and delivers some of the best lasagne and cannelloni you’ll taste in Melbourne. Salads here are super popular including a Tuna Nicoise and Moroccan cous cous salad. 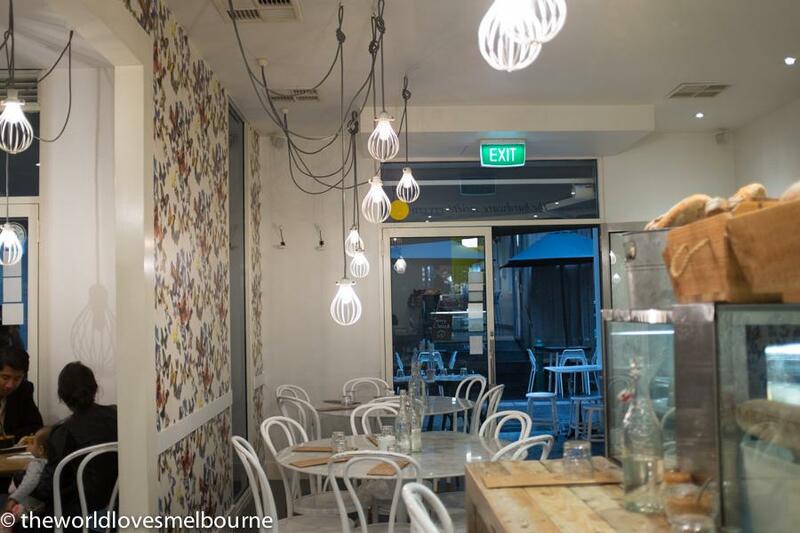 Bossy Boots is an iconic café with its own style, creating a convivial hub that is unique to Brighton and Melbourne. 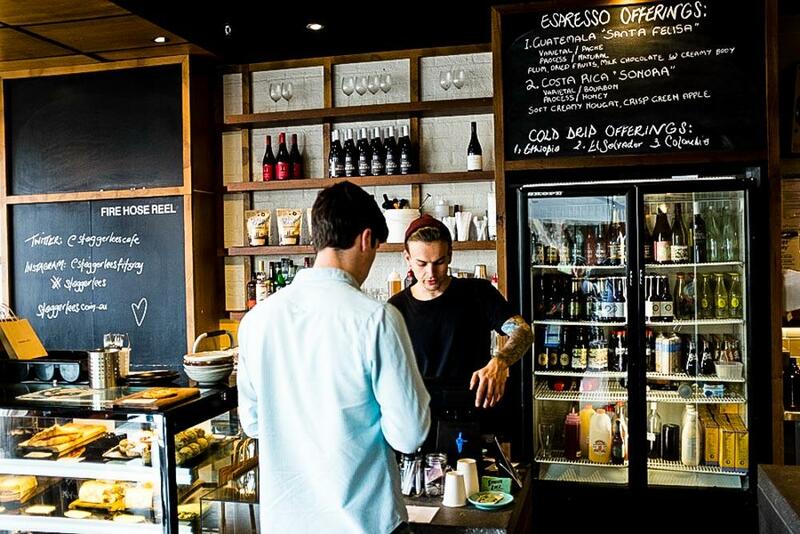 Eastern suburbs cafes are on the rise! 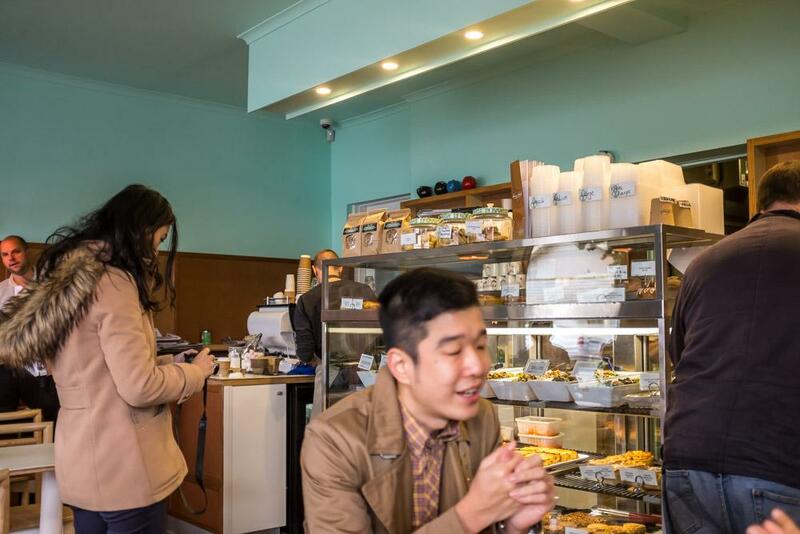 A great example is One Plus Piece Cafe, located in a premium pocket of Whitehorse Road in Balwyn, with banks, eateries and high end shops surrounding. This is the only Japanese anime cafe in Melbourne we know of! Playful and fun but serious cafe offerings. 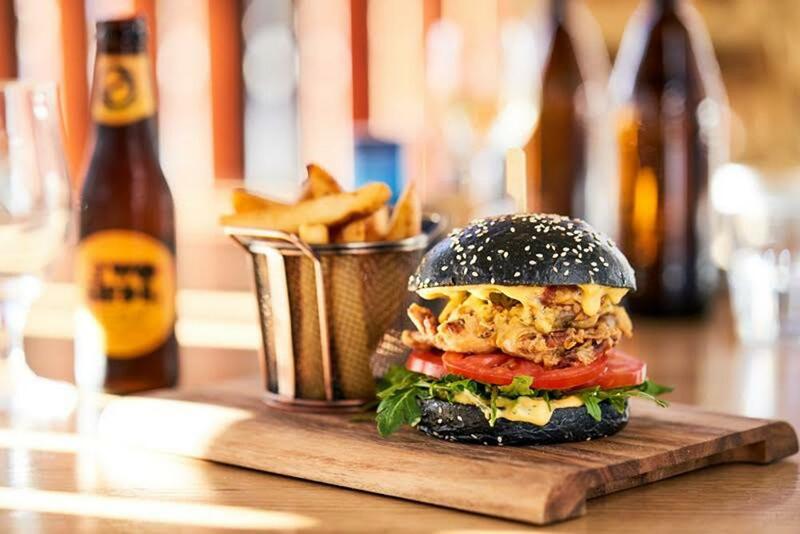 The menu developed by passionate Head Chef Cain caters for a variety of tastes; the cafe serves up compelling burgers, moorish dumplings, imaginative breakfasts, and a series of healthier style dishes. Burgers? 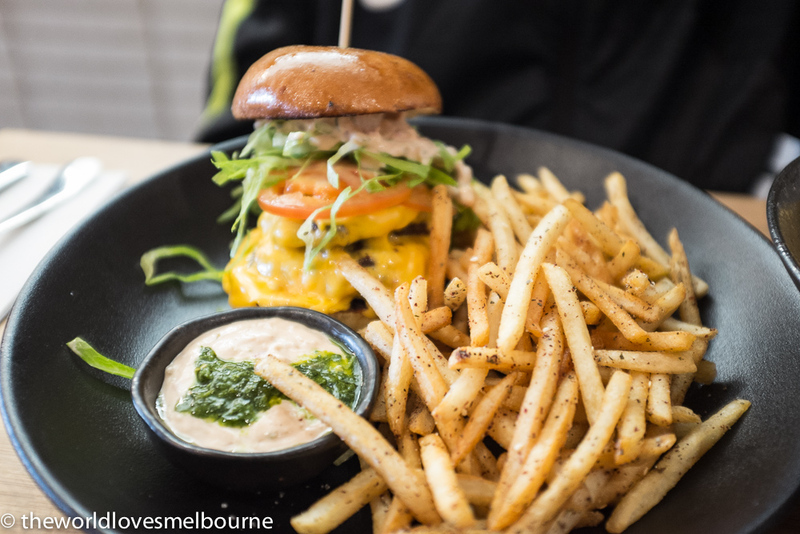 One Plus Piece Cafe is super popular for its burgers, and we highly recommend them. Innovative and playful. Check this massive One Plus Double Chilli burger (with extra patty to make it three). 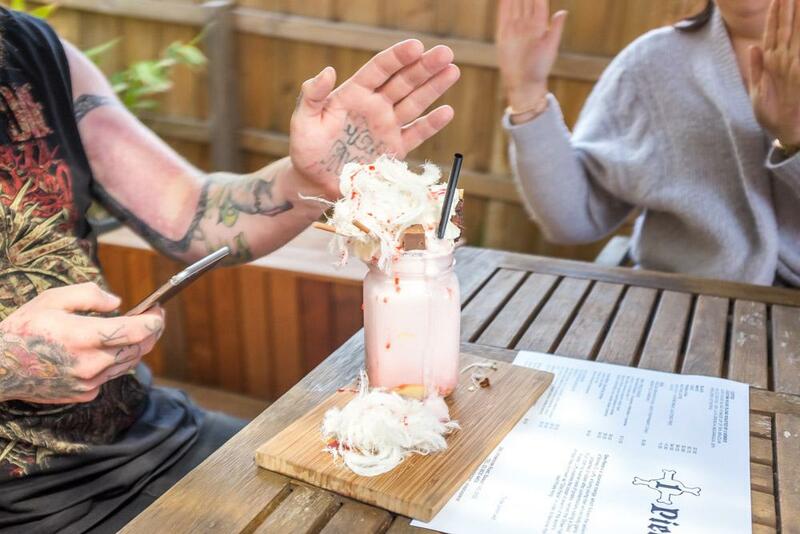 This burger scored an imtressive 7.7 on the Burgers of Melbourne index. 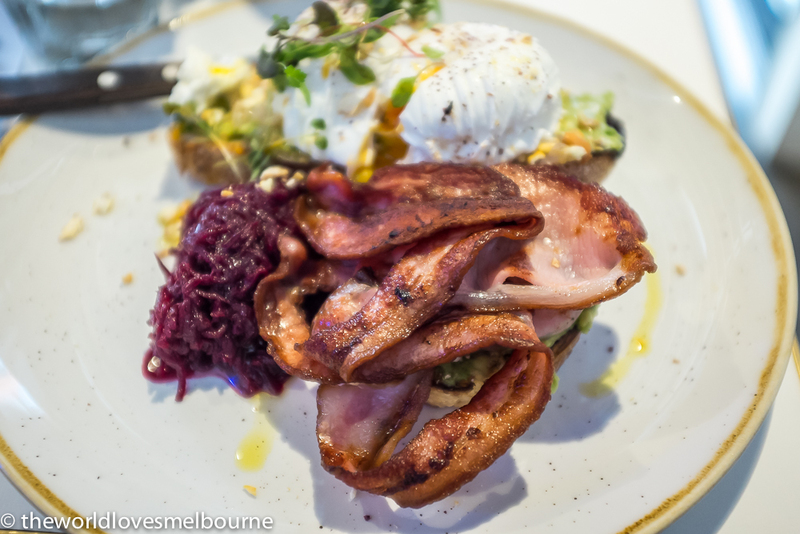 One Plus Piece Cafe in Balwyn is a breath of fresh air on the Whitehorse Road strip with Yvette and Cain bringing their passion and verve with first class cafe options. CH James, a trio of festive spaces, has launched in Station Street Fairfield. 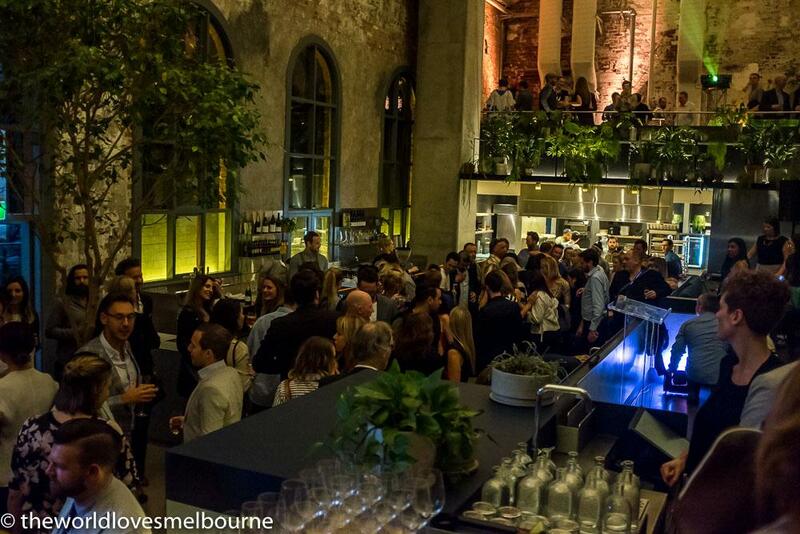 Locals are keen to experience the modern menu and character of the venue, which includes a stunning outdoor courtyard. CH James is well equipped with a coffee bar that faces iconic Station Street. 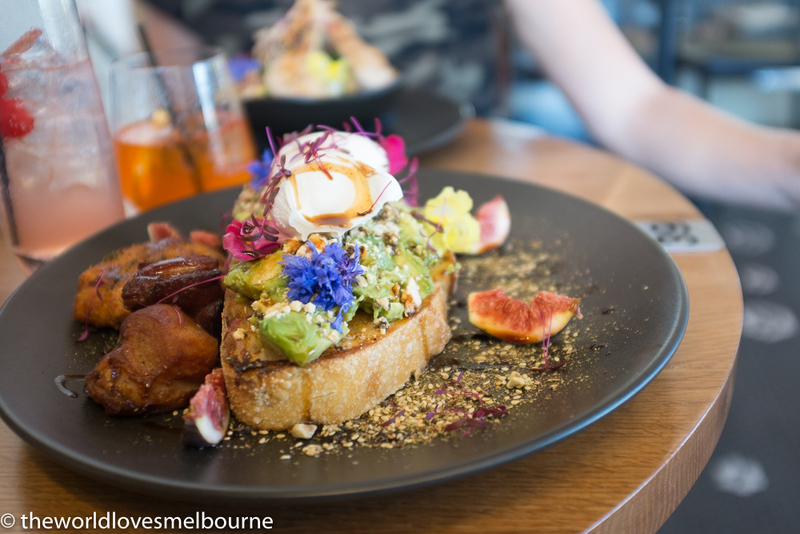 CH James features an interesting and fine brunch and lunch menu, with smart food at a standard well above general cafe fare. Coffee here is excellent and served in proper glassware. CH James has developed an amazing courtyard area next to a church, featuring plantings of fruit trees and fresh herbs, used in its cooking. Check out the chilli plant thriving in its large planting box. 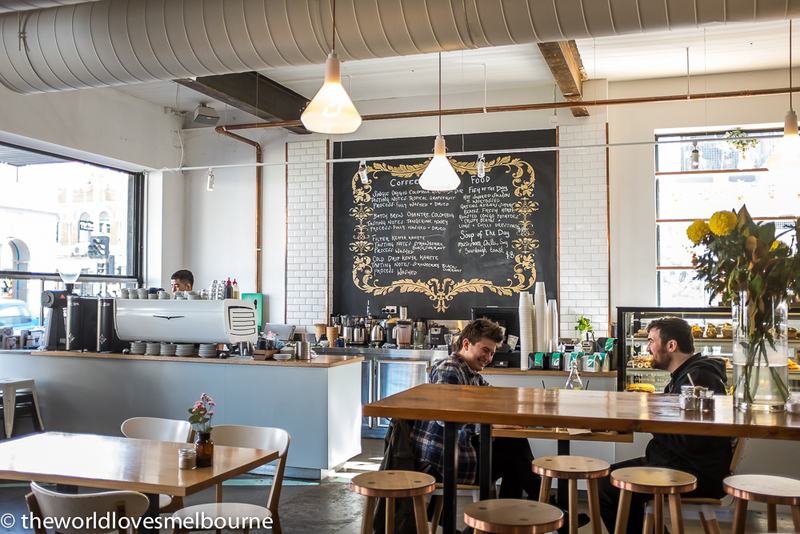 Auction Rooms is a standout café in Melbourne and exudes industrial chic as well as being a serious coffee haven. 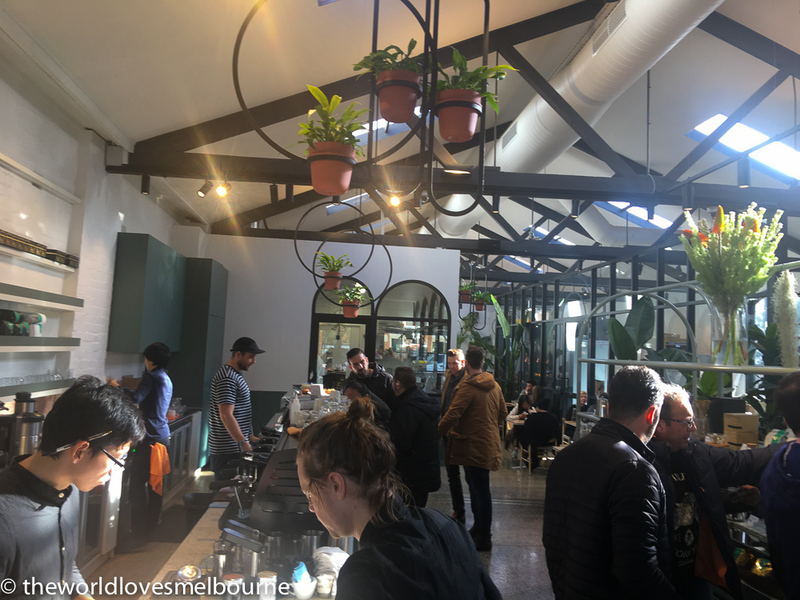 Housed in the old WB Ellis Auction House it is an oasis of coffee perfection in trendy North Melbourne. Loads of serious coffee lovers descend on Auction Rooms in its accessible location on Errol Street. Admire the blue façade then enter into a massive warehouse style building featuring the rough texture of exposed brick along with fine dark timbers and concrete floors. Ambience is also created from unusual aspects such as Six Degrees lead lighting and pendant low hanging PVC lamps. Come here on a lazy sunny day and be inspired by the natural light that pours in from the large front windows. 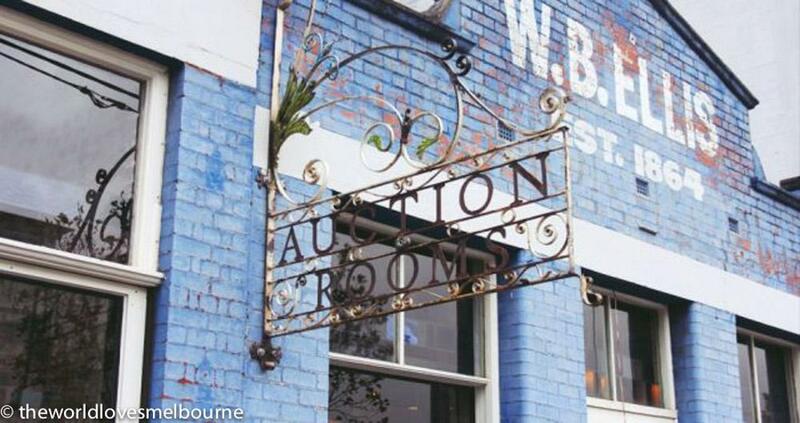 Auction Rooms is a spacious café with split levels and a charming courtyard. When you are done admiring the ambience and architecture, call on the helpful hipster staff to engage you with an outstanding coffee experience. 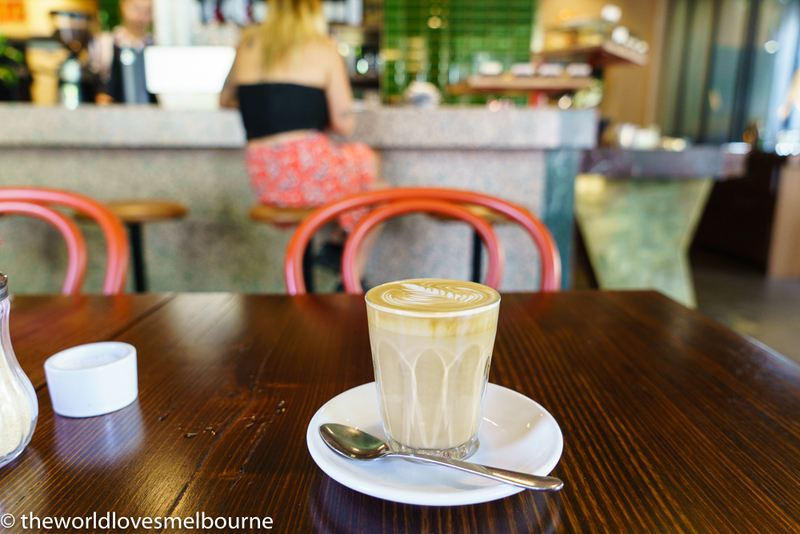 The coffee here is consistently rated among Melbourne’s best. 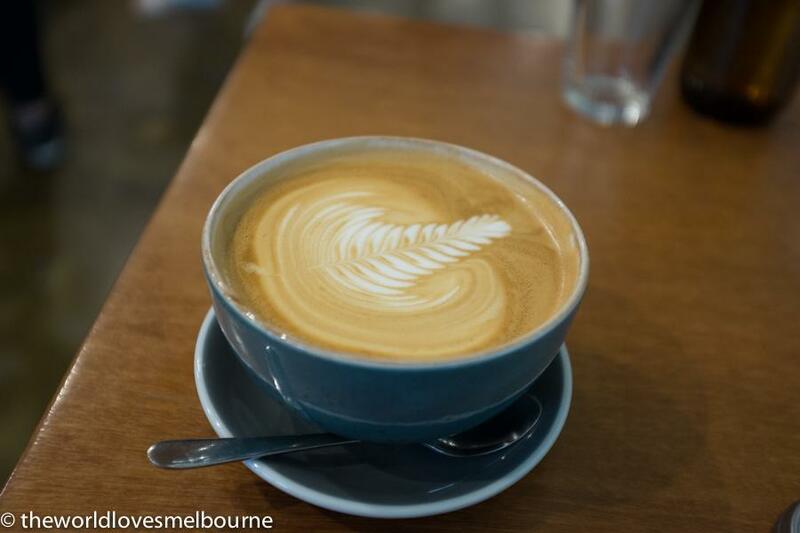 Auction Rooms has won awards for Melbourne’s best coffee. 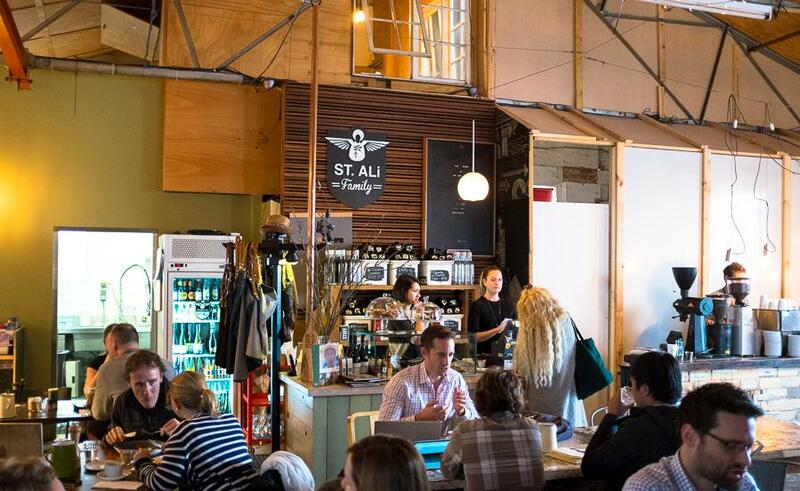 Auction Rooms serves up a plethora of coffee options - currently using St Ali blend. 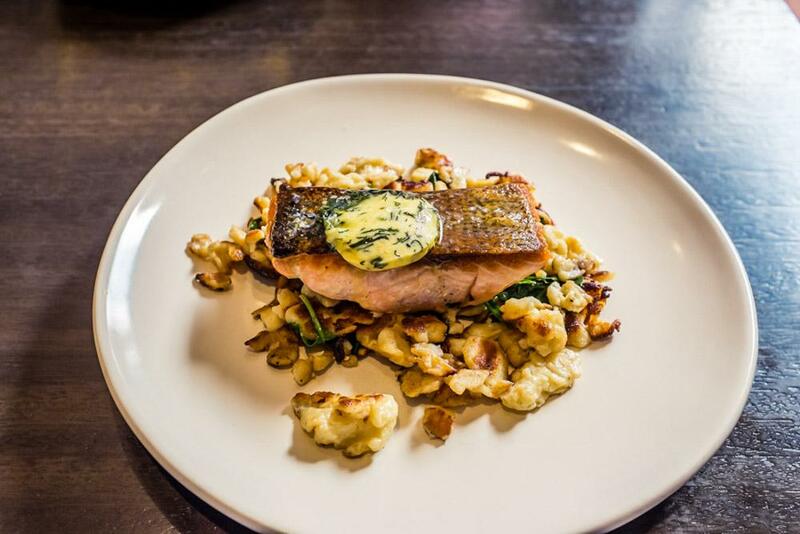 It’s famous for its serious coffee but Auction Rooms also serves great food. Modern cafe meals are prepared with flair. A major part of a cafe's attraction is its ambience, not just the quality of its food and coffee. But when you tick all the boxes of atmosphere, food and seriously great coffee you have a winner. 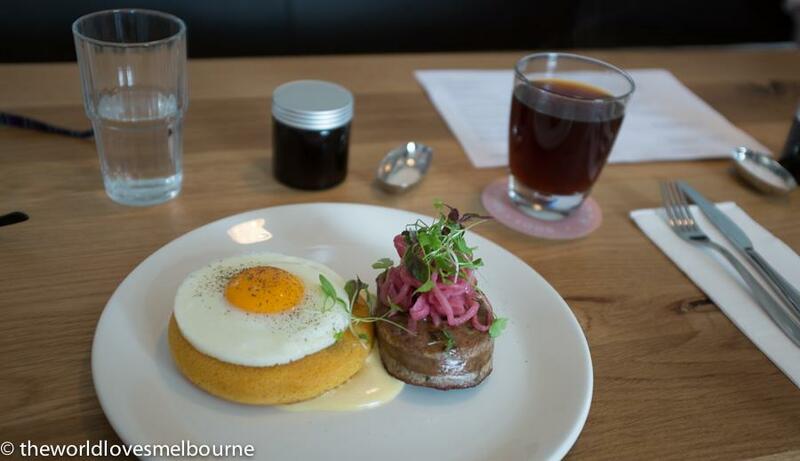 Stagger Lees is everything a cafe wants to be. The World Loves Melbourne had the task of taking Canadian friends to a standout cafe in melbourne and Stagger Lees came up with the goods. 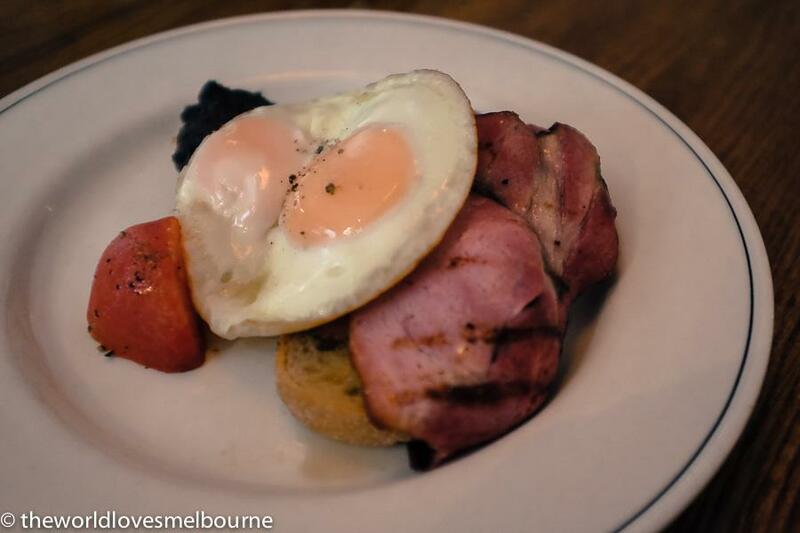 Stagger Lees is the brainchild of the folk at iconic Proud Mary in Collingwood. Many would know the song about the muderous dude who murders over a hat. In Brunswick St this may be a vintage hat or some cowboy boots. In any case the Americana theme at Proud Mary continues on at Stagger Lees.The menu selections are all appealing here. My friends are health conscious but when Mike saw the Fat Bacon Toastie featuring Apple wood smoked bacon, gruyere fondue, fried egg served with winter greens and chutney, he was hooked. The toastie was served with eggs on top open style. This dish would impress Elvis. Having eaten scores of burgers around Melbourne I found the Stack & Billy Burger to be one of the best around. A chart topper featuring Black Angus shin patty, bacon, American mustard, catsup, aioli, pickles and cheddar served with bacon croquettes and greens. The balance of flavours is perfect. The patty is magical. Brioche buns are a great texture and mild sweetness. Much thought has gone into this burger including killer aoli, quality pickles and cheddar. 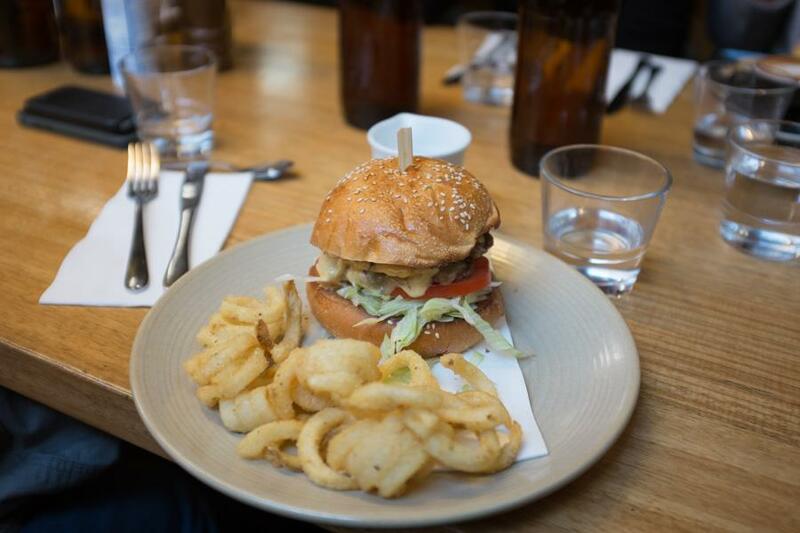 Please remind me to put this burger in my "Best burgers of Melbourne" section. Three Bags Full is a Melbourne darling and one of our more eminent cafes. The vibe on a pumping Saturday brunch time is fabulous. Its another foodie haven and the coffee is seriously excellent. Image: Three Bags Full Facebook. The colour scheme suggested I was in Richmond (bright yellows) but we were in fact in Abbotsford. Great ambience here. Walk in and immediately fall in love with this place. Three Bags Full boasts a large open space and natural light. Plenty of tables but often they are packed. Wondered whether the name Three Bags Full had anything to do with it always being packed out. Love the long communal table which people seem to gravitate to. 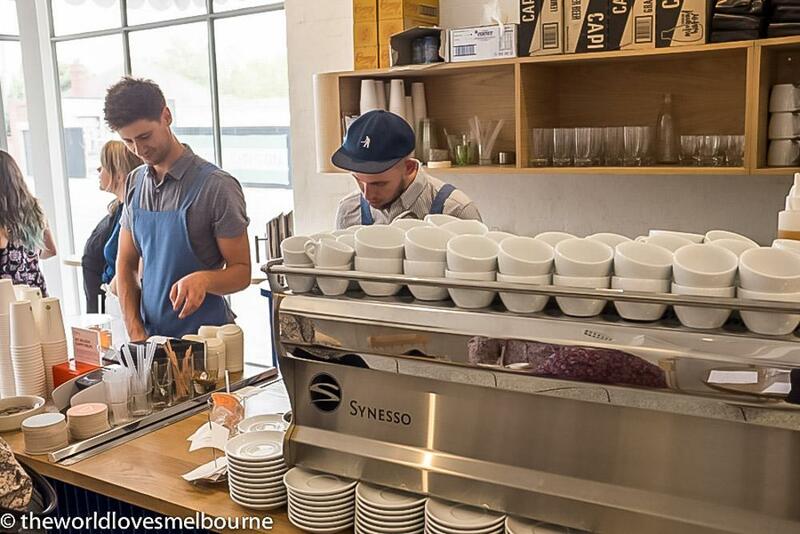 These guys are passionate about coffee and provide a great selection. They provide pour over, Clover and single origin offerings. I’m happy to come here just for the coffee and even line up for the privilege. Knowing they use Five Senses is comforting. This ex warehouse is very cool and features polished floors and exposed brick. This may lend to a noisy room but who cares, I’m into that. Venture outside to enjoy the ambience of the precinct at small tables. Three bags Full is also a great option for breakfast on the way to work in the city. Love the friendly service. Busy, busy, busy – but still attentive and personable staff. When paying or just ordering coffee you're invariably standing in line and eying off their gourmet products to take away. Three Bags Full is a stellar cafe that continues to shine. 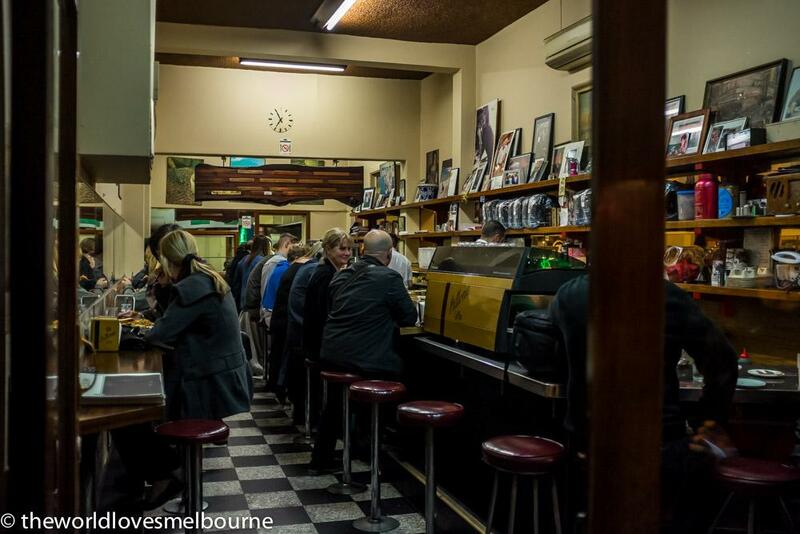 Pellegrini’s, a Melbourne icon, puts a big smile on my face. It's easy to fall in love with Pellegrini's as it exudes so much charm and nostalgia. Classico! Often misunderstood in a sea of nouveau cafes and restaurants, Pellegrini’s is unique. It feels like ‘real’ Melbourne with its history and standing. I’ve been there a few times and love it. Where else can you go for such quality banter, home cooking and strong coffee?I tried entering Pellegrini’s very early one morning and couldn’t get in the door. That’s right! The owner (I think it was), came and unlocked the door and showed me in! That was cool. Really sad about the passing of Sisto Malaspina; a beautiful soul. First the coffee. I asked for a latte (in one size glass) and was poured something with an extremely dark colour - telling me this one is as strong as steel. I love a strong coffee. I asked Sisto one day whether this was a triple shot? “No” he said, “nothing to do with shots. It’s about the blend and the way it's made. If the shots are no good the coffee is no good – so what’s the point of shots?” You gotta love that philosophy. Nostalgia everywhere! Love the long bar area with the iconic stools, and the mirrors along the other wall (also with iconic stools). Love the memorabilia on the shelves with celebrities posing with Pellegrini’s. 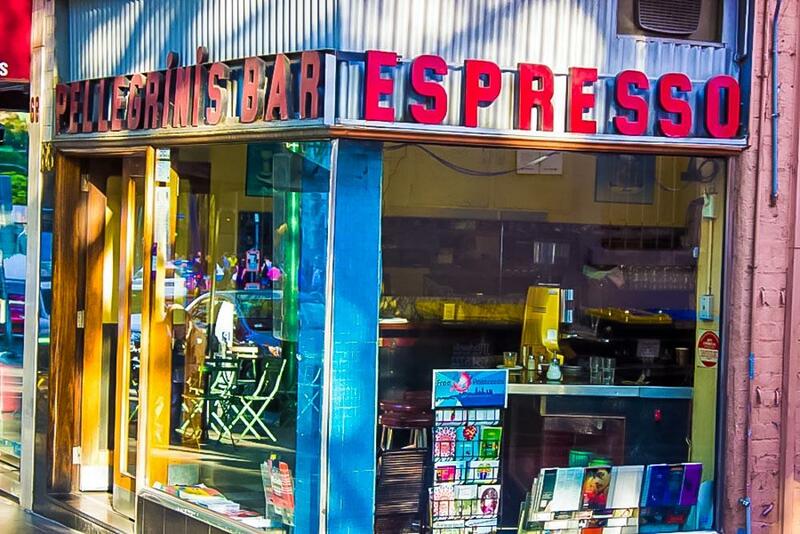 Pellegrini’s is a classic Italian espresso bar in Melbourne. Sometimes misunderstood you need to appreciate it for what it is rather than what it isn’t! They do pasta and delightful Italian treats well… I still have smile on my face! Ciao! Ciao! And Pellegrini’s really knows coffee! After the passing of Sisto they are still powering on. Seven Seeds is credited as being a highly influential coffee powerhouse that has shaped the coffee culture of Melbourne over many years. 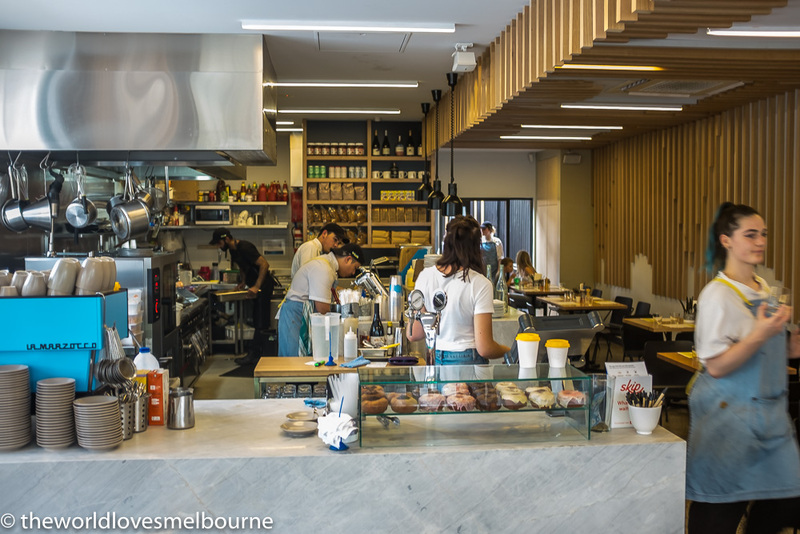 The World Loves Melbourne believes Seven Seeds is better than ever and continues to shine its love and significant influence on the cafe and coffee scene. 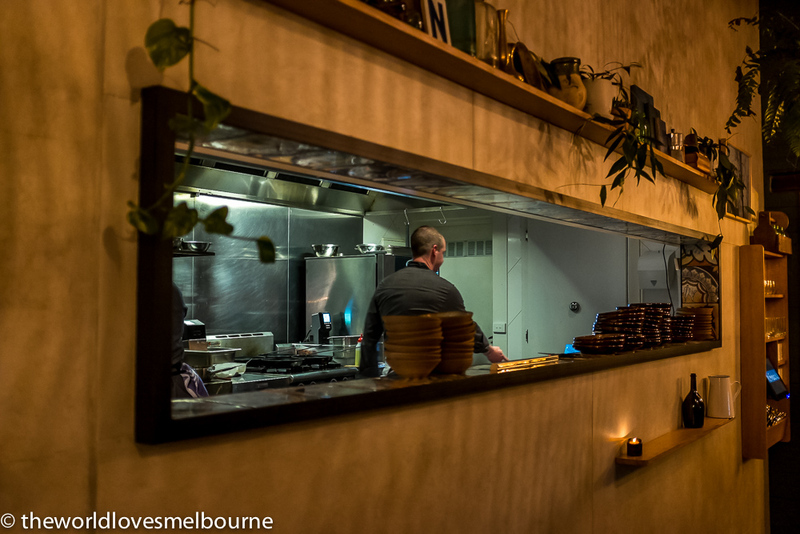 Seven Seeds is one of those Melbourne institutions we can take for granted. Walk along a nondescript street in Carlton that appears quiet and sleepy. Then stumble upon a packed house of uber coffee lovers at an unspectacular entrance almost devoid of signage (apart from a painted name on the wall). 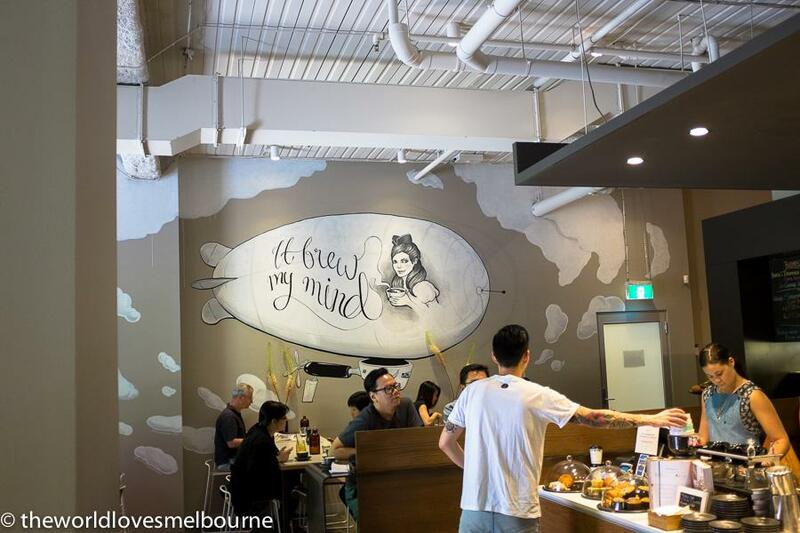 Seven Seeds is a super passionate roastery and cafe. The lab here indicates the seriousness and passion for all things coffee. Seven Seeds never stands still but moves on ever evolving. The quality of coffee here shows no hint of dropping off, unlike some others that have diminished over the years. The coffee menu features Seven Seeds roasted coffee of course! A converted warehouse, Seven Seeds features large amounts of exposed brick, tiles, concrete floor, mounted bikes, and the large windows allow plenty of natural light. They even led the way in cafe fit outs with many since copying the Seven Seeds look. With universities nearby Seven Seeds attracts its fair share of students. It's an eclectic mix here of the young and fashionable. 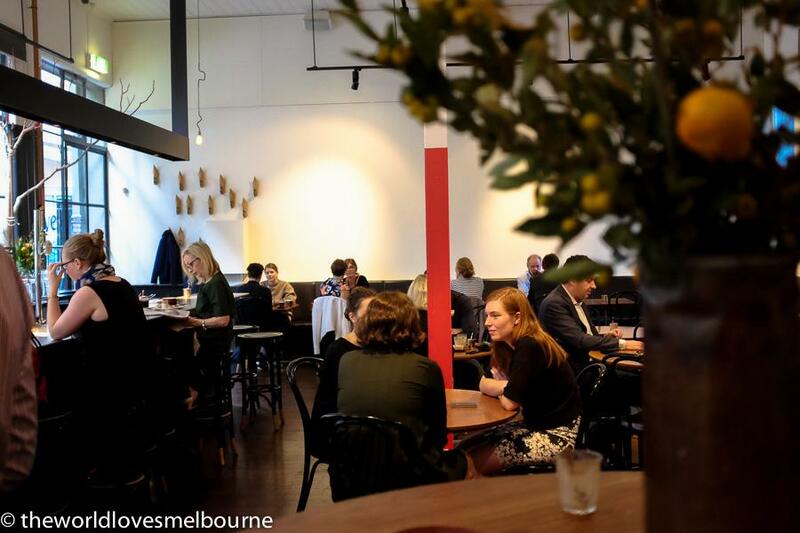 Extremely popular soul brother café to Seven Seeds and de Clieu. For those that know their coffee history, it was infamous revolutionary Brother Baba who in the 17th C smuggled seven seeds of coffee out of Yemen and into India where the plants thrived. 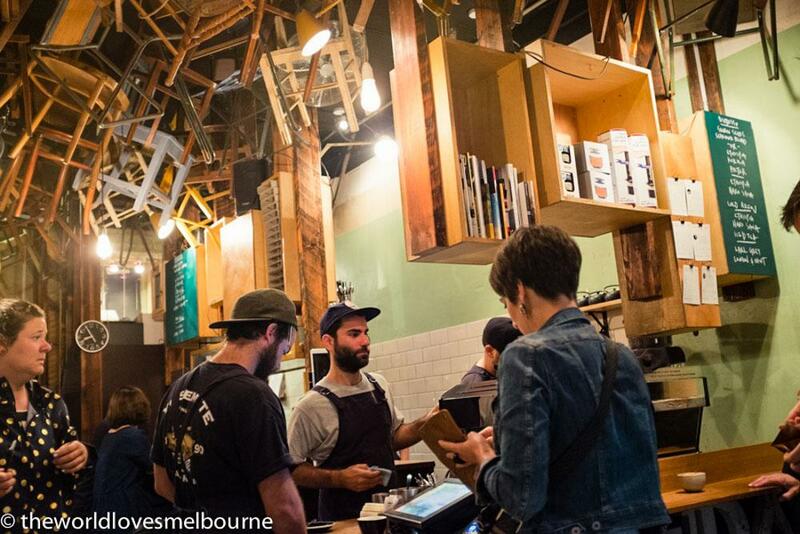 This started a global coffee revolution which has culminated in the sensational coffee scene we see here in Melbourne. BBB is passionate about coffee and in particular specialty coffee. 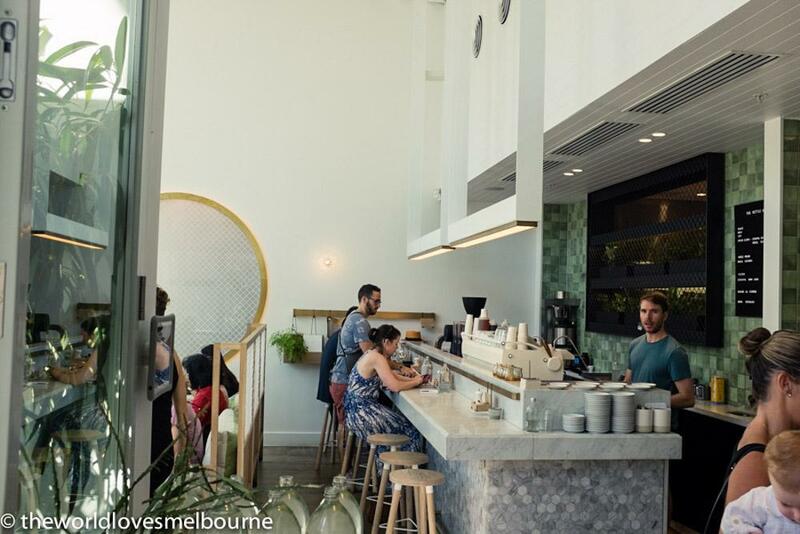 Look inside the window from Little Bourke and invariably see wall to wall people, some at the communal table reading but many lined up for some of the best coffee in town. Single origins, filters and awesome blends. It always looks like a cool party. 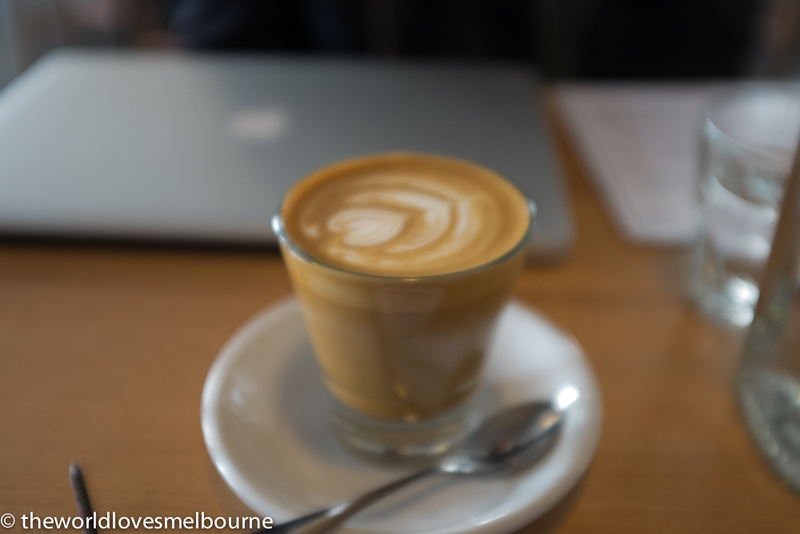 Took my friend from Dubai here and he had to concede that Melbourne has such an awesome coffee culture. A talking piece is always the curious montage of chairs hanging from the ceiling (spectacular but really hard to photograph). I asked a barista if it was ok to photograph and he said a lot of people photograph the ceiling chairs – so I felt better. Limited room in here for many to enjoy a sit down experience – there are a few tables with stools. Most people gravitate to the communal table by the window or indeed the communal table behind the baristas with a selection of cakes and biscuits above. The star of the show is the coffee. The default is the Seven Seeds blend which is awesome. A smart drinker will order the Coffee of the Day single origin. It makes sense as it is only slightly more expensive. Cool having a mounted ipad playing music selections. The barista decided while I was there one morning to change to the sunshine collection (blend). I thought it might be Mow town but it wasn’t. There's also a retail section here where you can pick up your Aeropress. One of the best! 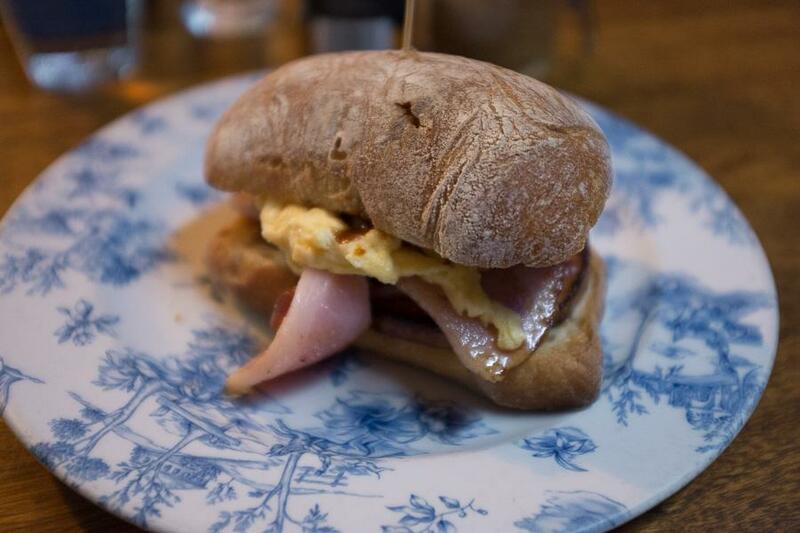 Manchester Press is a spacious funky cafe that you'll want to come back to. This deserves to be a global sensation like Manchester United. This is a huge spacious cafe - a former gallery and named after the former printing press business. Friends of mine remember it's former life - the renovation has been impressive. The mystery is accentuated by the fact that you need to pull back the sliding door to enter. Coffee here is amazing with highly skilled baristas that have a knack with latte art. The breakfast options including the raisin bagel with jam and ricotta are outstanding – good value and huge dollops of both jam and ricotta. In fact Manchester Press does bagels really well with other options (open sandwich style) and toppings available. I was told by the waitress that all menu options were available at any time – not just divided into breakfast and lunch. And that the menu changes whenever the chef feels like it… But some bagel options are more suitable for breakfast. Sensational service every time with staff friendly and willing to explain stuff (interesting they place the bill in a glass on your table). We have a ritual - I keep going to the counter to pay at the end of my meal without producing the bill in the glass – so they go back and grab my bill from the table again. On leaving I noticed a mirror ball mounted high in Rankins lane casting an interesting light array down the lane. All adds to the coffee and the art experience! 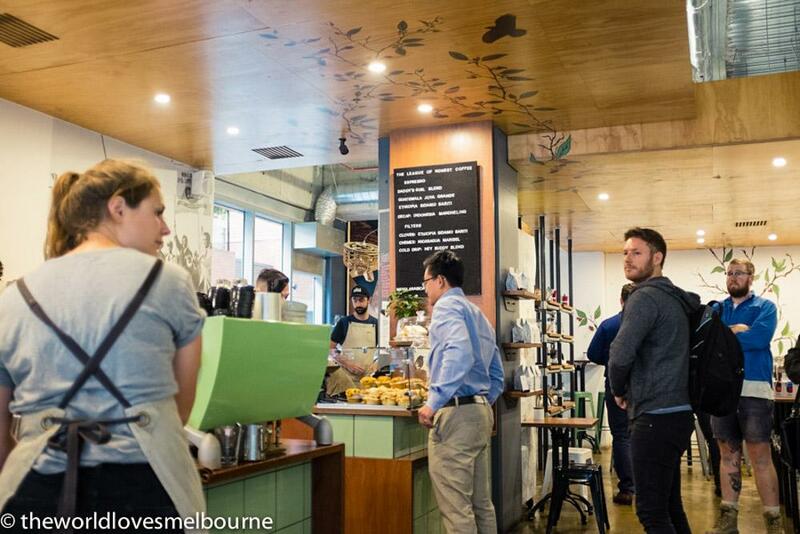 One of the best coffee houses in Melbourne with a strong following. This is the crew from East Brunswick Project and Padre Coffee. 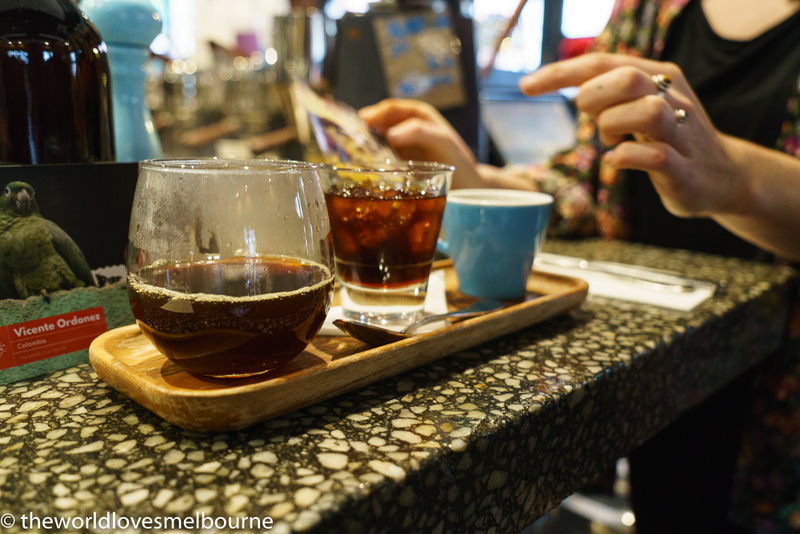 The League of Honest Coffee present great Pour Over and Cold Drip Options. I'm prone to a creamy latte which is a bit old school but these guys do it so well. Love the bowls of coffee. In life I reflect that sometimes bowls of latte lose their punch in the compromise of too much milk! But this is amazing. Here is an important point -The League of Honest Coffee use decent milk in their coffee unlike a lot of cafes. (My barista training taught me that milk quality is a major factor in a great coffee). Food options are simple but gourmet. Delectable treats allure behind the cabinet. 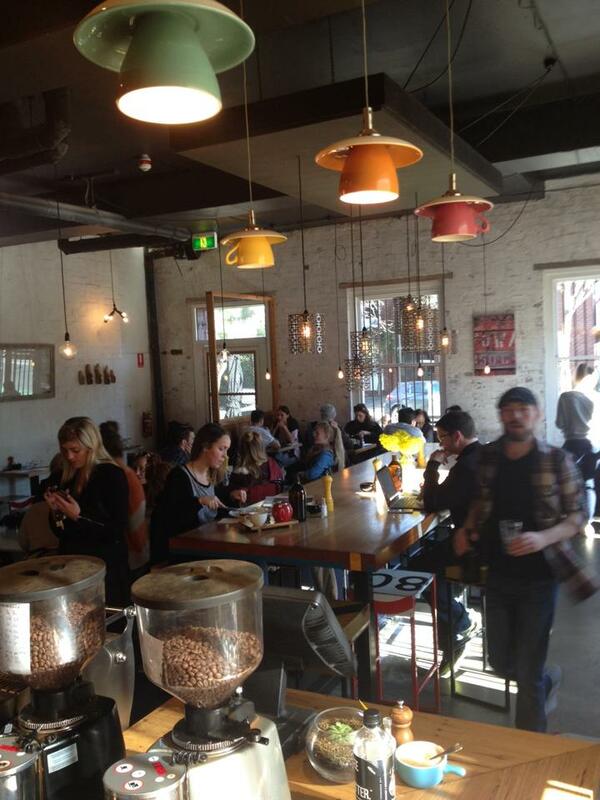 A great place to go for a Sunday morning lazy breakfast in Melbourne. It captivates with French sophistication and charm, and a high quality dining experience. 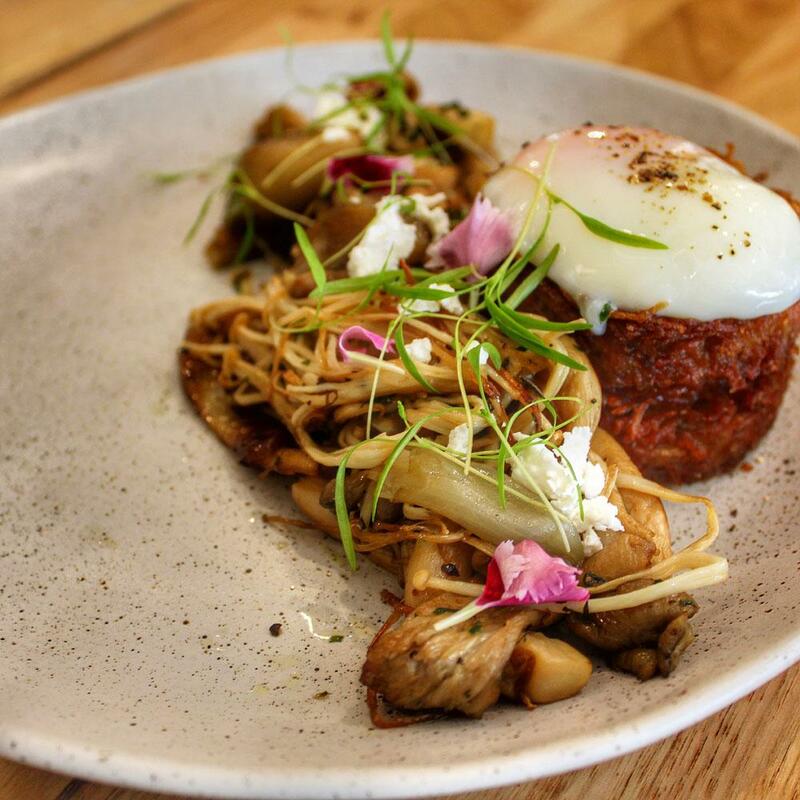 If you’re looking for a restaurant that’s able to offer something more than the usual brunch options, with a certain je ne sais quois, then Hardware Societe is the place for you! All eyes are on the white uniformed rock star chefs with awesome tattoos who perform wonders in the kitchen for all to see... Each dish has amazing flair and bathed in TLC. There is a French attention to detail! 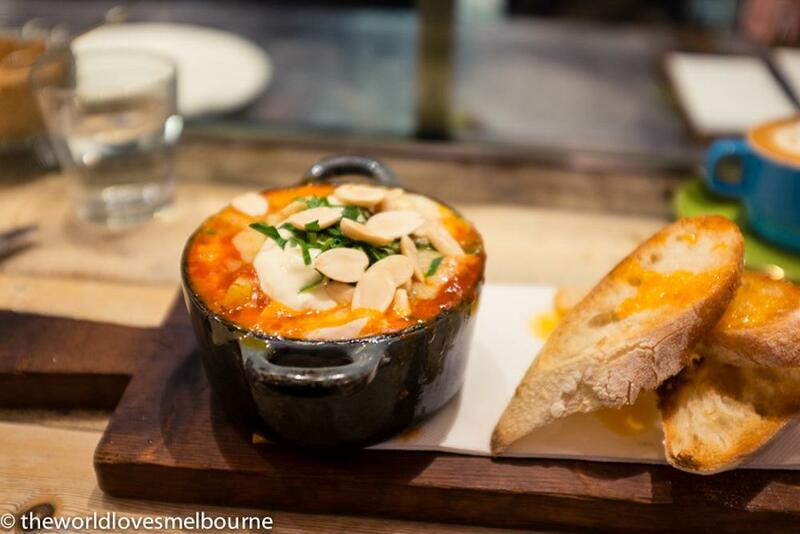 Hardware Societe offers some of Melbourne’s favourite dishes such as Baked eggs served in a French pan with chunks of chorizo and cheese. This is a cacophony of taste and flavour. After a big night out you may prefer the Banana bread with caramel and crushed nougat. Or Fried brioche with nutella, strawberries and toasted hazelnuts. And there are daily specials. The quality of the food is undeniable. Everything is well cooked, great flavour profiles and the freshness (including the bread) stands out. Service is fantastic with hipster staff wearing aprons to set a French tome. They are both engaging and attentive. Open for breakfast and lunch but not dinner. Popular and a talking point around Melbourne. Rightly so.